The Committee continued interrogating key role-players involved in the Gupta naturalisation. Individuals called to testify on this day include Home Affairs Minister Malusi Gigaba, the Department’s former DG, Mkhuseli Apleni, Mr Richard Sikakane, Mr Norman Ramashia, Mr Major Kobese and Mr Gideon Christians. The Committee heard from the various departmental officials on the processes they followed in processing a successive number of applications by the Gupta family. The Committee pointed out the contradictory stories on whether the family members had made individual applications or if there was one family application. They noted that the initial applications were refused but the problem began when Mr Chawla submitted the appeal or application for exceptional circumstances. Members pointed out that there was no proof that the family had renounced their Indian citizenship within six months as required by law. They lamented that the Department had not verified the reasons the family had advanced for exceptional circumstances and had taken the information presented on face value. The role of Mr Ashu Chawla came under close scrutiny as it was disclosed that officials in the Department seemed to respond promptly to all his requests and had shared sensitive information about staff deployments with him. The Chairperson described the sharing of sensitive personnel information with the Guptas as absolute high treason and the matter should be referred to law enforcement agencies. The Committee probed the relationship the officials had with Mr Chawla and if they benefitted from this association in any way. The Committee received information from Mr Chawla’s lawyer that he was in India until the end of November. Members agreed that his appearance before the Committee was important and necessary. The former DG, Mr Mkhuseli Apleni, could not conclude his testimony. The Committee complained that the manner in which the former DG was responding to questions was also not helping since he had documents only he had access to, which disadvantaged Committee members. Members were of the view that it will be impossible to conclude on the report without first receiving information from the former DG. The Minister’s testimony was rescheduled. The Minister confirmed that he was ready at any time to engage with the Committee. It was agreed that the Committee will consult the Speaker and get another date when it will be able to hear the testimonies of both the former DG and the Minister and other roleplayers. to head office; who received them in head office and what then happened when they were at head office. The information that we got yesterday was that it was individuals’ applications. The first application went in March, the second one in November and the others were in July. The information before this Portfolio Committee signed off both by the former Director-General and the Minister, and Mkhize himself is that it was a family application. On the basis of two people not qualifying they were then rejected, both the wife and mother, because they overstayed their days outside the Republic. That is all what we know. What we will expect today will be the chain of events regarding the applications. Where were the applications launched? We then requested to get a courier slip that was signed off and which formed part of the courier forms to head office. I am saying this because the belief was that the processes were all done at Civic Services. Someone will have to prove to me that it’s not true that these were in fact done at this office, on this day, received by this person, forwarded to this person because we have to have a paper trail of these applications. This morning we are going to be dealing with Mr Sikakane. Mr Sikakane’s role is adjudication. The applications are packaged and sent to him and his team deals with the merits of the application, and then decide after doing due diligence. Where we are sitting, we are aware that the adjudication committee rejected the application on the basis of two people not qualifying. We know that Ajay Gupta and the sons, both of them, qualified for naturalisation because they have been in the country, and not outside the Republic, per requirement by the law. So, they qualified and the years they have been in the country helps them to qualify. We are going to be dealing with the details of that adjudication today and I take it Mr Sikakane will help us with his team. He will tell us if the team is not here and we will have to deal with that but that information is important. Yesterday, we had a number of requests from Members for certain information during the presentation of Mr McKay and I am informed the information will be made available. We must agree, Members, it will then be submitted to the Secretary of the Committee and the Secretary must acknowledge and announce the information has been received. So far I am told the information is not yet here. Mr Thulani Mavuso, Acting Director General, DHA: We do have present; Mr Sikakane and Mr Major Kobese, Mr Christians and also the former Director General (DG), Mr Apleni. The Minister will come through, later, during the course of the day. Chairperson: The information I received is Mr Chawla is in India until the end of November. This information came via his lawyer who communicated with the Committee Secretary last night that all correspondence with Mr Chawla must be communicated through the lawyer. Mr Chawla is very central to the activities of facilitation both in the office in New Delhi and here, in South Africa. That makes him a key witness. We even know now that the appeal made to the Minister was signed off by Mr Chawla not Ajay Gupta. So, he becomes a very important witness. We have to look into trying to get him to come back from India soon. The next meeting of the Committee is 9October 2018 and we are meant to finalise the inquiry report. It may mean we will have to readjust the programme so we have all the witness we have identified which will then help the Committee with its conclusions and recommendations to Parliament. Mr M Hoosen (DA): Chair, I’m sorry to interrupt you, if I may just take you back to the matter of Mr Chawla. I want to verify that he has left the country through the movement control register. We can’t take his lawyer's word for it. I understand that yesterday his phone has been ringing and he was seen online on WhatsApp. Please ask the Department to verify if he has left the country. If he has not, I wonder what the possibility is of ensuring that he doesn’t leave the country by asking immigration to put a stamp on his passport. If that can be done to advise us how it can be done. Chairperson: The Department has the ability to check the information and the verification is important. Mr Mavuso, please can we try and get the information by lunch time. Chairperson: Who else here is on the adjudication committee? Mr Richard Sikakane, Deputy Director: Citizenship and Travel Documents: Me and Mr Ramashia, Chief Director: Back Office. Chairperson: How many people constitute the adjudication committee? Mr Sikakane: It is a team that sits according to the arrangement and availability on the day. Chairperson: How many people were on the team when you were dealing with this particular application? Mr Sikakane: At the time of this specific application it was the Director who is no longer with the Department, Madame Malupe (*spelling not verified). Chairperson: I just wanted to ascertain who constitutes that team. The Chairperson administered the oath and Mr Richard Sikakane and Mr Norman Ramashia took the oath. Chairperson: Have you prepared any document with regards to the process? Mr Sikakane: The document that was submitted by the Department yesterday contains the report. Chairperson: Who was chairing the adjudication, was it Mr Ramashia? Mr Ramashia: In this particular instance the Chairperson was Mrs Malupe (*spelling not verified) who has since left the Department. In these particular applications, I was not the Chair, I was a member of the committee. Mr Sikakane: At that time, I was still new at the organisation and was an observer in the learning curve. Ms N Shabalala (ANC): I’m very puzzled when Mr Sikakane says he was just an observer. In terms of the documents that we have, he is one of the signatories. He signed together with Mr McKay and the Minister. When he says he was just an observer it is a challenge. Chairperson: He signed the document so he takes ownership of the document. Mr Sikakane: I respectfully clarify, there are two processes being referred to in documents. There was a first processes of application for naturalisation which was done by Madame Malupe (*spelling not verified) and was rejected. The second is when the section 5(9)(a) of the Citizenship Act was evoked and that is when the applicant has the right to apply to the Minister to consider the application on exceptional circumstances. So, I request that these two processes be separated that was when the document was signed at a later period. Chairperson: So, you came in when there was an appeal, when Mr Chawla wrote to the Minister. I understand that part. And the second part? Mr Sikakane: I wasn’t party to it. Ms Malupe (*spelling not verified) who was the Director and has since left the Department was the Chairperson assisted by the officials in the Committee. Mr Sikakane: If I recall, it was Ms Celina Ramukoka (*spelling not verified) and Ms Hlatshwayo. Chairperson: So, you found it necessary not to bring the other two officials? We are now dealing with people who are saying, ‘no, I was not there in the first part, I only came in the end to deal with the appeal.’ What is the story? What is happening here, DG? I’m definitely going to put you under oath. I don’t have an option. We don’t want stories. We just want to hear the truth now. If we don’t put you under oath, we will keep doing this up and down exercise which I am not prepared to do. We are subjecting everyone to be under oath so we get the truth. It means you will then be able to participate. I need your responses under oath too. Mr Mavuso: I will be guided by the Chairperson and the Committee. Chairperson: We have just been made aware that the decision for refusal earlier has the signature of Mr Sikakane. It was signed by Mr Sikakane while he only says he dealt with the appeal. Why are you saying this? Mr Sikakane: It is not a decision it was a quality check on the process. As I indicated, I was still new that time. The decision is where there is a Chairperson and the people with the Chairperson. Chairperson: Do you have this document? (“HA response” Annexure F) I want you to please read the document for us. Mr Sikakane: Yes, it says ‘The refusal recommended on the family’. Chairperson: Read where it is written next to your signature in ballpoint pen, read that part for us. Mr Sikakane and Ms Ramukoka (*spelling not verified) signed. The Department has deliberately not brought Ms Ramukoka here when we requested all the people who were part of the adjudication and put their signatures. Mr Ramashia did not sign any of the documents before us yet he is here. How did you leave out Ms Ramukoka (*spelling not verified) and Ndifelani Dombo? The Chairperson administered the oath and Mr Thulani Mavuso took the oath. Chairperson: There is a reason we wrote and made it a point that we want the adjudication committee to be here. Can you explain the approach you took when you decided to only bring Mr Sikakane and Mr Ramashia and leaving key people who have signed, especially the first rejection of the application. Someone will have to take the ownership of the document now. Mr Mavuso: When we received the information relating to the inquiry, one of the things that was there in the documentation was specifically the individuals that the Committee would love to engage. In the letter from the Committee the individuals were specified. Mr Sikakane’s name was there, and Mr Ramashia’s was not there but I insisted since he is the Chief Director in this space he is supposed to come here. We were guided by what the Committee requested us to do but I also thought the Committee wanted to speak to the authority rather than the functionaries that were sitting in the adjudication committee as members. We thought that this representation would be adequate that is why Ms Ramukoka (*spelling not verified) and the rest are not present. 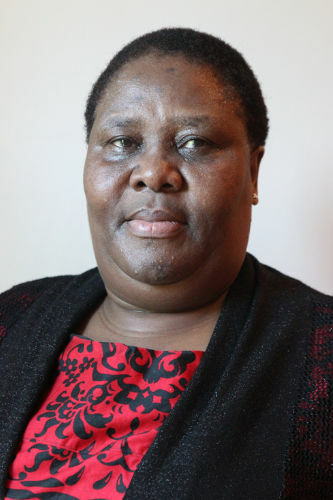 Chairperson: Who is Ms Hlatshwayo? Mr Mavuso: Ms Hlatshwayo was the secretary of the adjudication committee. Committees by their very nature have supporting staff. What Ms Hlatshwayo and they do is the preparation of documents so that the members who then sit for adjudication have got a pack and can go through the documentation. Post this; they will then prepare a submission with a route list that will go to the relevant Deputy Director. This goes to the document that Mr Sikakane signed. He was signing in his capacity as the Deputy Director in the environment and not as a member of the adjudication committee. Below that you can see there is an adjudication committee with the names of the Chairperson and members. He was signing as management in terms of the route list. Chairperson: Were Ms Ramukoka (*spelling not verified) and Dombo members of the adjudication committee? The work they did was sent to Mr Sikakane to sign off but he does sit on the committee? Mr Mavuso: There are certain instances when he does sit. Let me explain, it is like when someone applies for a particular documentation. I then as the accounting officer become the appeal authority. I do not sit in the first adjudication of the process. Once someone appeals I then become the appeal authority. In this instance, he was the appeal authority. Ms B Dambuza (ANC): I don’t get it. I don’t understand how people who are not part of the meeting sign and commit themselves as if they were part of the meeting. You sign because you were part of the meeting in terms of taking decisions. I don’t understand how the Department operates. It is strange and awkward to me. These are serious decisions. You cannot sign and commit yourself to a decision if you were not part of it. The person who was supposed to sign is the Chairperson or the secretary of the committee. Why are officials signing? Chairperson: There are two dates. Ms Hlatshwayo signed on 10 November 2014 and Mr Sikakane signed on 15 December 2014. Please take me through the dates? Mr Sikakane: In the process of an application for naturalisation, head office will receive applications from local offices countrywide. At head office, each official within the citizenship unit is responsible for a province. In this instance, Ms Hlatshwayo would have been responsible for Gauteng. So, any application for citizenship, specifically naturalisation, would have gone to Ms Hlatshwayo. She would then go through the file and take out permanent residence permit, and take it to immigration services branch for verification. The fingerprints are sent to South African Police Services (SAPS) for criminal records. When all the documents are received, she begins to compile a submission. In that submission, the history of the applicant and inputs into the submission are considered. As the drafter of the submission she then signs at the end. You will notice in the first signature it says BOC which is the Back Office Clerk as the complier of the submission. It then goes through to the supervisor which is Ms Celina Ramukoka (*spelling not verified) who checks the compilation of the submission. It then goes to the next level where they go through the submission until it is ready for the adjudication committee. The adjudication committee will then sit on a set date and adjudicate all the prepared cases of application for naturalisation. When the committee has taken a decision, it goes back to that official who was preparing the submission to update the national population register of the outcome of the adjudication committee. Subsequently, the official will prepare a letter that states the outcome hence the letter prepared by Ms Hlatshwayo. Chairperson: What is your role? You signature comes immediately after Ms Hlatshwayo, so at what point do you come in? Mr Sikakane: As the DG indicated, there is a route list in the submission process before it reaches the adjudication committee I would have looked at the submission and verified the contents and quality, and then make a recommendation. Chairperson: You are guided by Ms Hlatshwayo’s recommendation? And then you sign? Chairperson: ‘Refusal recommended’ means you agree with Ms Hlatshwayo? Mr Sikakane: Yes, in that instance I agree with her. Chairperson: You were involved in the process. You have gone through the documents, you now know the reason for refusal emanating from Ms Hlatshwayo, you agreed with it and signed off on the document. You confirmed the refusal when you signed on 15 December 2014? Mr Sikakane: I wouldn’t say confirmed, I concurred with the refusal drafter. Chairperson: Here, you wrote refusal recommended. Mr Sikakane: Yes, I concur with her. Chairperson: There may be no need to get Ms Hlatshwayo because now we are not dealing with the basis for refusal but the appeal. Ms H Mkhaliphi (EFF): We asked who Ms Hlatshwayo is and the response from Mr Sikakane was she is a Back Office Clerk but when you check the letter (Annexure D) it says Deputy Director. Is a back office clerk and a deputy director the same thing? Mr Sikakane: Ms Hlatshwayo was a back office clerk. The letter signed by Ms Hlatshwayo is PP Deputy Director. She was signing in PP as the standard of practice done in applications. Mr Mavuso: We issue enabling documents throughout the country. Whether you issue a birth certificate or death certificate in all our front offices, the design on the system is that they are issued by the Director General in terms of the law. When a death certificate is printed in the office, the official issuing the document is delegated to sign on behalf of the Director General. You will not get a death certificate signed by the DG because it is issued on the spot and if it had to go to Pretoria for DG to sign it would take many years which is why it was delegated. The same with letters that are issued in regards of the submissions, if the Director General had to sign it will obviously take long. In order to avoid fraudulent issuance of documents, if I am a clerk and want to issue a document I have to use my user number to print the document and sign in PP on behalf of the DG. We are able to trace the document was printed using your user number and PP to sign. It is a control measure we have put in place. Chairperson: It is now clear that the Director General takes responsibility for all activities and the Director General would be the right person to speak with authority to these matters. So, we were right in inviting the former Director General to be here with us. Ms D Raphuti (ANC): A back office clerk given such responsibility and working with such highly sensitive information is questionable. Is he/she vetted? Ms Mkhaliphi: The last paragraph of the letter says that, “however you and your family will qualify to reapply on 23 December 2017”. I want to clarify that point because all along we were made to believe the date is 2015. Please clarify the date? Chairperson: What was your role and involvement in the application? Mr Ramashia: The first process, as I indicated, I was not involved. I was only involved in the early naturalisation dealing with Section 5(9)(a). Chairperson: When the appeal was made? Then the new committee was constituted? Mr Ramashia: That particular process does not necessarily go to the committee. Mr Ramashia: I look at the submission; the purpose, background, legislative framework and the supporting documents. Chairperson: That process does not involve Mr Sikakane? Mr Ramashia: It starts there before it goes to my desk. Chairperson: What do you do Mr Sikakane when it comes to you and what documents do you look at? The clarity is important for us so that we are able to know who was responsible for what in the whole process. Mr Sikakane: As I indicated there are two separate processes. In the second process that deals with consideration of exceptional circumstances, invoking section 5(9)(a), the applicant would either write to the Minister and it goes through the Ministry or approach a Home Affairs office to submit representations to the Minister. When head office receives representations, which come from lawyers or individuals, the back office clerk would then prepare a submission extracting information from the representations. Chairperson: At this point, what are you dealing with, are you dealing with the appeal that has come from the client? Chairperson: Which document are we dealing with now? Mr Sikakane: It is the document written by Mr Ashu Chawla from Oakbay. Chairperson: Who is Mr Chawla? Mr Sikakane: He is the director, according to the letter, who wrote the representations on behalf of the family. Chairperson: You just said it is either the lawyer or the client who makes the representation. Who is Mr Chawla? Mr Sikakane: In this case Mr Chawla seems to be the representative of the family submitting the representations. There is no exclusion that indicates or prescribes who should make the representations in our legislation. So, we would normally receive representations from anyone. Chairperson: Are you saying that the laws of this country allow I make my application for naturalisation and then someone else can make the appeal on my behalf. Is that what you are saying? Mr Chawla is not a lawyer; he is just a director of the company. Are you saying the law says anyone can do that? What does the law say? Please read it for us. Mr Sikakane: Read section 5(9)(a) of the Citizenship Act. Notwithstanding anything to the contrary contained in subsection (1)(c), the Minister may under exceptional circumstances grant a certificate of naturalisation as a South African citizen to an applicant who does not comply with the requirements of subsection (1)(c) relating to residence or ordinary residence in the Republic. Chairperson: So, in this case who is the applicant? Mr Sikakane: In this case, the mentioned or identified applicants were Ms Angoori Gupta, Mr Kamal Kant Singhala and Mr Surya Kant Singhala. Chairperson: Did these people write to the Minister and appeal? Chairperson: So Mr Chawla is the one who did the letter of representation? Mr Sikakane: He did it on their behalf. Chairperson: What is Oakbay because the letterhead says Oakbay? Mr Sikakane: It is a company. Chairperson: So, the company can write for citizenship? Mr Sikakane: I can indicate that in some cases it does happen. For an example, we had an application from a cricket player which came from an organisation. It didn’t come from the applicant himself. There is nothing in the legislation that says it can’t. Chairperson: We will go back to the law and look at the law. Maybe the Minister will have to clarify the role of Oakbay writing the recommendations. It is a private company and you cannot compare Cricket South Africa to a private or family company. Ms Shabalala: After the appeal was lodged by Mr Chawla, the Minister referred the matter back to the Department to finalise and give recommendations. In terms of the recommendations to the Minister it is for the approval of the application? What changed after the adjudication committee initially refused the application? What made you take this decision and write the recommendation to the Minister? What was the motivation? Donations to the schools and social investments were not verified before approving naturalisation. Mr Ramashia: I need to clarify a misconception that continues to be used that this was an appeal. Our law does not make provision for an appeal. This is a right as legislated in section 5(9)(a) of the Citizenship Act that an individual may approach the Minister to look at the exceptional circumstances. From where I am sitting, I would not be able to view it as an appeal, however, I would view it as information that a person presents before the Minister to indicate exceptional circumstances specifically looking at the residential requirements that the person does not meet and then saying to Minister out of the norm of the residential requirements would you then consider these factors. In this instance, the letter that was submitted to the Department and the representations identified three critical areas. One of them was the business investment and this was supported by the attached supporting document from CIPC. The second one was a letter of taxation from SARS. The documents indicated there was no reason to think there would be anything untoward. Chairperson: The three names that Mr Chawla appealed for, what is their investment in the country? What investment have they put in the country? Mr Sikakane: The letter identified the family matter first. This letter follows the rejection letter of the five family members. We dealt with the application as a family, as per the recommendations of our law, we can’t separate them. The Department of Home Affairs has had the situation where there are judgements in terms of not separating families. We dealt with this matter as the family. We can’t separate the children from the mother and the father. Chairperson: Take us back to why it was rejected before? Mr Sikakane: The rejection indicated that two of the family members, Shiva Gupta and Angoori Gupta, did not qualify; they had exceeded the 90 days residential requirement hence the refusal as a family. Chairperson: How many people are appealing? Mr Sikakane: The letter from Oakbay identifies three family members. Chairperson: What happened to the rest of the family members, if you are now treating this as a family? Chairperson: Mr Chawla writes to you as a family. The letter says, ‘as a family’. Is Mr Chawla a member of the family? Have you checked if he is a member of the family? Who is he? Is he South African? Does he have an ID? You receive a letter from Oakbay, you don’t know Oakbay, you’ve never done business with Oakbay but here is a letter with an Oakbay letterhead. What is Oakbay? Have you checked? Who are the directors? In that letter, it is no longer the whole family. Ajay Gupta and Shivane Gupta are not there. It is three people applying as a family. What does it tell you? What due diligence have you done as the Department of Home Affairs? Mr Ramashia: When I received the submission, I looked at the supporting documents including the letter which was motivating the waiver of the ordinary residence. In the main, I read that the family invested R25 million and have employed 7000 people and also made social investments. It was an indication that I considered to be contributing to the economy especially where we have a challenge of unemployment. I took it that the presentation by the family through this letter is factual moreover there was some information from CIPC and SARS which is what made me comfortable when I received the submission. The letter gave me that comfort however I must indicate we did not verify the R25 million and 7000 employees. We have never in the past done a verification of what applicants write. We just took what they wrote on face value based on the fact if they misrepresent themselves that is something else. Chairperson: That is Home Affairs for you, there is no verification. Ms Dambuza: The recommendation to the Minister was written by yourselves because of the information you relied on in terms of the letter. Have you checked that some of the applicants came to South Africa on a work permit and they kept on renewing it and later applied for naturalisation? Of course, at face value I was also going to agree if I saw an investment of R25 million given our economy and rate of unemployment. Some things need to be checked. We have this application from Mr Chawla on behalf of the family; we don’t know what his role is. He is one of the directors of Oakbay. When you look at how many people are employed by Oakbay, the records provide, it is one person. What kind of company only has one employee? It means it’s a company in name only. Do you agree, the Department in authorising and advising the Minister to approve naturalisation made a mistake? Mr Ramashia: The verification of permanent residency is done with the immigration branch. In this instance, the permanent residency was verified positively. We relied on the SARS and CIPC documents for verification of the business. Mr Sikakane: Even if the applicant has misled the Department in any form the legislation makes provision, at any stage, to deal with such situations. There are always checks and balances in terms of the law. Chairperson: Home Affairs Minister Gigaba approved and signed the letter of 30 May 2015, and next to Mkhize it also says approved and his signature. The DG does not say anything but he signed. He does not say I approve or not approve. Have you seen that document, and what does it tell you? Mr Sikakane: What I see on record is that the DG is happy with the submission. Chairperson: The DG does not say anything he just puts the signature. Mr Mavuso: The DG has introduced the practice that if he does not approve of the document he will not sign it. So, signature means he has approved but he can confirm because he is present. Mr Ramashia: We know each other. I know the former DG, Apleni, and read that he was happy with the content of the submission. Ms Dambuza: You can’t just put your signature without indicating if you are approving or not. There is an indicator whether you approve or not approve. Mr Hoosen: The letter from Oakbay forms the appeal Mr Chawla made for early naturalisation and he indicated three names. Nowhere does it indicate he wants to appeal for Ajay Gupta, is that correct? Mr Sikakane: I would request from my side not to use the word appeal and continue to use the applicant used section 5(9)(a) in terms of the Act. Mr Hoosen: What does that mean, it was not an appeal? Mr Sikakane: From an administrative point, I wouldn’t accept the concept of an appeal but to what the legislation states. Mr Hoosen: What would you constitute it as if it is not an appeal? Mr Sikakane: Nowhere in the legislation does it raise the concept of an appeal so I can’t respond to it as an appeal. Mr Hoosen: How would you describe it so I can use your words? Mr Sikakane: It is exceptional circumstances. Mr Hoosen: So, this was a request from Mr Chawla for the exceptional circumstances of those three individuals and not Mr Ajay Gupta, do you agree? Mr Sikakane: According to the letter it specifies, ‘as a family’. Mr Hoosen: But it specifies the names? Can you read the names that are there? Mr Sikakane: The reality is the rejection letter identified the names of the family members. Now in this letter it is the grandmother and children yet the parents could not be separated from the children. The family composition indicates the parenthood to the children. The letter indicates, ‘as a family’, there is a unit that cannot be separated. Chairperson: This is Mr Chawla’s letter as a family member. So, the grandmother and the children might not even be Gupta family members. Mr Chawla does not separate himself from the family, he says ‘as a family’. Why then did you implicate the wife and the father? What gives you authority to include them? The two sons and the father qualified. The grandmother and the wife did not qualify but Mr Chawla put the names of the grandmother and the children. So, in the exceptional circumstances you include everybody? So, this family is Oakbay? The sons and the grandmother are Oakbay? That motivated you to approve? Where in the law does it say when you deal with such matters you can include the family? Ajay Gupta even refused to renounce his Indian citizenship but Home Affairs gives him citizenship under Mr Chawla. He is not a Gupta; he is not married to any of the Guptas unless you have done the due diligence. The wife also did not apply for citizenship. What makes you give someone citizenship who did not apply for citizenship? 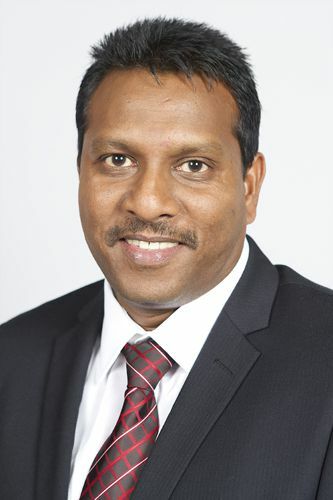 Mr Hoosen: If there was an intention by Ajay Gupta to apply for exceptional circumstances you would have sought confirmation from the Indian Embassy confirming it is aware that he has applied for naturalisation. You only have confirmation for the four family members and not for Ajay Gupta. So, it is very clear from the documents that Ajay Gupta did not even apply for exceptional circumstances. There isn’t any proof that he applied for exceptional circumstances yet the Department and the Minister approved. Do you give citizenship to people who do not apply? Ms Shabalala: Does it mean that the four family members are now South African citizens? Is Ajay Gupta also a South African citizen? Mr M Kekana (ANC): What is the relationship between the Guptas and Mr Chawla? Please tell us your qualifications? Ms Mkhaliphi: Yesterday, the former DDG of Civic Services confirmed under oath the applications were individual applications. Mr Sikakane and Mr Ramashia were both present yesterday and today they are saying it is individual applications. Mr Sikakane in the submission specified Mr Ajay Gupta and the wife are the owners of Oakbay Investments and earlier you told the Committee the wife did not qualify. So, were you submitting to the Minister that they should be given naturalisation? One of the reasons provided by Mr Sikakane and Mr Ramashia for granting of the naturalisation was because of the CIPC and SARS documents. You just receive documents without further verification or did you verify with CIPC and SARS? The whole process took less than a month. How long do normal naturalisation applications take? According to the Citizenship Act it specifies each and every applicant must be notified within six months and this one was a case of less than one month. Why was this application preferential? Some people do not even get any feedback for more than three years. So, how do you work as a Department? Which law gives you powers not to treat all applicants equally? Mr D Gumede (ANC): Are there any similar precedents to this matter or similar cases you can present to this Committee so we are able evaluate your decision? Ms Raphuti: An Indian family managed to create employment for 7000 people and you didn’t even go and enquire whether they brought any foreign direct investment. The document from CIPC was enough for you? So, by looking at the surnames of the two sons can they be part of the Gupta family and have ownership of a multi-billion Rand company? There are a lot of contradicting factors. Mr Hoosen: Annexure L (Conditional renunciation of Indian Citizenship) is not dated. The letter gives the Gupta family indication that they are granted conditional naturalisation and have six months to renounce their citizenship in India. Do you have proof from the Indian government, within the period of six months, that these members have revoked their citizenship? The letter provided is two years later and if there was no letter of proof of renunciation within the six months then the process was flawed and should not have been granted citizenship. Do you have that letter, dated 29 October 2015? Mr Sikakane: The letter of renunciation (Annexure L) refers to the response that was to be provided by the family of which they did on the annexure from the Consulate where they indicated there is no objection to the family applying for South African citizenship and they would renounce Indian citizenship by surrendering their passports. The letter was dated 22 September 2015. It was sufficient for the Department that as soon as the Department accorded them naturalisation they would surrender their passports. The confirmation of the surrender of the passports was done through DIRCO to the Indian High Commission and was sent back to the Department confirming they did renounce. Mr Hoosen: The regulation says in order for them to qualify they must get the letter from the country of origin stating the date on which they have renounced the citizenship. Do you agree? Where in those letters does the Indian government confirm they have renounced the citizenship by that date? Mr Sikakane: The letter from the Consulate, dated 22 September 2015, was in accordance with our acceptance. We received it as an indication that the surrendering of the passports would be done immediately upon approval of naturalisation. Mr Hoosen: I am not sure you understand my question. The regulation is very specific. Do you see it says, ‘the date on which the citizenship is revoked’? Where in the letter does it provide the date the Gupta family revoked their citizenship with the Indian government? Mr Sikakane: The date that is indicated is subsequent to them being informed that they have been granted citizenship. From the content of the letter it is on their surrendering of their passports. The omission is we did not ask for the exact date they surrendered their passports. Mr Hoosen: You granted citizenship without confirming they had revoked citizenship within six months or that they surrendered their passports? Mr Sikakane: I would not say so because the documents made available here may not be exactly what is on the record in the file. I will have to verify what is on record. Mr Hoosen: When can you give us a letter from the Indian High Commission that confirms when the citizenship was revoked? Your former DG in 2017 said he would go and check and submit it, and it is now 2018 and he hasn’t. I have asked for it several times and no one has provided me with the letter. You got the confirmation but you did not get it within six months as required by the legislation and because you didn’t do that this Gupta family should never have been granted naturalisation. Mr Sikakane: I will have to go back and verify. In regulation 4 of the Citizenship Act, ‘all members of the family of the applicant included in the application for certification of naturalisation must also qualify to be granted with the certificate for naturalisation.’ This is raised in the context the family was initially refused. This regulation was considered when invoking section (5)(9)(a) of the Act, through Mr Chawla, as the Department on record was aware the family was rejected as a family. Mr Hoosen: If they were considered a family why did you not get the same document for Ajay Gupta as you did the other family members? Mr Sikakane: The Department by law and the judgment I indicated to earlier requires that we consider it as a family unit. We could not force Ajay Gupta to have citizenship but we had to grant it because we have a judgment that family cannot be separated. Chairperson: What is the name of the case of the judgment? What does it say about people making a waiver to the Minister and who makes the waiver to the Minister? How does the judgment apply here? Mr Mavuso: I am not familiar with the judgment. Chairperson: Mr Sikakane, tell us about the judgement. It is against who and who? What does the Court say? Mr Sikakane: I would not have the exact case reference but I am aware. Chairperson: You are under oath and you are talking about a judgment you do not know. Don’t ever make that mistake. Don’t try to play the hero out of the confusion you guys have caused here. Mr Ramashia: Ajay Gupta is not a naturalised citizen. The other four family members; mother, wife, and the two sons have been naturalised. Chairperson: Did the wife of Ajay Gupta apply for special circumstances? Mr Ramashia: The name is not there. We took the process from the time it was rejected. Chairperson: There is no process. You do not have the names of Ajay Gupta and the wife. You are dealing with three individuals that Mr Chiwla has applied for. I will not accept that this is a family application. Home Affairs went and included everyone and went to the Minister for signature. You are bringing in people who have not done anything. The main applicant is Ajay Gupta and he did not apply for special circumstances. No one is meant to have applied for the two sons because they qualify; you then add them and say special circumstances. Don’t waste our time as if we don’t know anything. None of you want to admit to the wrong that you have done but you went and said, ‘Minister please sign here.’ You are failing South African citizenship. Anyone that applies can get it. Did anyone of you benefit from this? Mr Sikakane what did you benefit from this whole thing? Mr Sikakane: Fortunately, I didn’t even know the Guptas or Mr Chawla and only knew of them after this whole process. I didn’t get anything. Mr Ramashia: I have not met the family and I have not benefited. The naturalisation application according to our turnaround time takes 12 months but because of challenges some of them take longer than 12 months. If it is an application for early naturalisation there are no timelines set for submission and different submissions are finalised at different times. There are some applications that have been finalised quicker than this application and we can provide the proof. I have a BTech in Public Management and a diploma in Public Management Administration as well as a certificate in Advanced Project Management. Mr Sikakane: I am a teacher by profession however I am a political scientist also, I majored in politics and Public Administration at Honours level and I have a Master in Business Administration and other qualifications. Mr Mkhaliphi: I did not hear them answer if they have records of Mr Chawla leaving the country. He is out on bail. Did he get permission to leave the country because he is a fugitive? Where is his passport? Chairperson: The acting DG will answer those questions. Thank you for the engagement. We have made our findings on the engagement as a Committee and to be honest with you that is where the problems started, and by the time it got to the Minister it was messed up. Both of you are released. Mr Mavuso: I have asked the team from border control to check [about Chawla] and I will communicate as soon as I get the information. The Chairperson administered the oath and Mr Major Kobese, Director: Appeals, took the oath. Ms T Kenye (ANC): In your emails now in the public domain you communicated that the appointment of Mr Christians was done outside the normal recruitment process under the instruction of the Minister. How were these instructions from the Minister communicated? Can you also explain the normal recruitment processes and why they were circumvented? Mr Kobese: The statement is quoted out of context. It is a statement that is quoted out of a plethora of emails that were going back and forth. There was a conversation between myself and Human Resources (HR). In the conversation, HR was busy packaging documents to get officials accredited by the Department of International Relations and Cooperation (DIRCO) and requested documents on the advertisement of the post including the interview and selection process. My response was that what you are requesting is outside the HR process because we did not follow that process and that is provided for in the Foreign Services Dispensation Policy. We have different processes we are following. I meant it was done outside normal HR process but not meaning that it was done wrongly. The Minister provides instruction in two ways either verbally or through a public statement. In terms of the language we use in the Department when a submission is sent to the Minister and signed by the Minister and comes back to us to implement we interpret that as an instruction from the Minister because it has been signed by the Minister. There was a submission done to the Minister by the HR Department. The Minister approved the recommendations from HR. HR approached the Foreign Office Coordination which is the office tasked with the implementation of the deployment of officials to foreign nations and provided the submission approved by the Minister for two individuals to go to foreign nations. So, that is the process I say was followed and when HR asked for those things, I said you can’t ask me for them because the process has passed you and the Minister already approved the deployment to foreign nations. There are three categories for deployment. The first is for deployment for a full term which is four years. We do that in a cycle and after three years we advertise the post. People apply and we do the recruitment and selection. Those people then undergo training after which they have to obtain security clearance. After all this is done then they are deployed. The second category is short term deployment which is also covered under legislation. It is when a person is deployed for a short period of between three to six months. In that process, we do not advertise the positions because we appoint and deploy people from a pool. The last category is relief duty which is anything between three weeks and three months. We also do not advertise the positions and take people from a pool. When you are deployed full term, which is a four year cycle, and you pass your cycle there is a portion that becomes available in the machine or DIRCO will identify a mission and open the new mission. We then have to post an official outside the cycle. What we do in that instance then is to take an official from the pool because those officials have undergone training and meet all the requirements. Mr Christians process was the last process. Chairperson: Can you tell us your position and what do you do? Mr Kobese: In relation to the matter at hand I was a Director: Foreign Office Coordination and Support. I was responsible for the placements of all officials in foreign nations. Chairperson: What is your current position now? Mr Kobese: I am the Director of Immigration Appeals for permits and visas. Ms Kenye: What was happening with Mr Chawla because he was always there? According to the Organisation Undoing Tax Abuse (OUTA) report you were told to assist Mr Chawla in any matter that arises and to reprimand staff who don’t take requests from Mr Chawla. What is this all about? Are you a music director? Who is this Mr Chawla and why is he always there? Mr Kobese: The two postings for the two officials were in New Delhi and Mumbai. There is nothing I have come across that says Mr Chawla had an interaction with me that involved the influencing of the appointment of Mr Christians. I read that I am Mr Chawla’s left lieutenant and when OUTA made the representation yesterday, I was sitting with my pen waiting to hear what is it that I have done that gave me the title of left lieutenant but I couldn’t find anything. I must be honest. All the things that were referred to are things I do on a normal basis. I do know Mr Chawla that I must confess. He did contact me to say he is the CEO Sahara and Sahara is one of the large accounts bringing in lots of labour to South Africa and lots of investments. When I went back to my emails between the period 2015 and 2016 I only came across less than 10 emails between me and Mr Chawla. In all those instances, it was when an application had already been made but there were bottlenecks that needed my assistance. There is not even one instance he asked for a favour in those emails. He just said, there is a problem here can you ensure that we get assistance. When I get told that on this day I did A, B, and C then I will be able to respond. Unfortunately, for me now, it is too abstract for me to respond directly. Chairperson: Let us appreciate, for the record, the first time someone acknowledges Mr Chawla. We want to applaud you for that because all your colleagues said they do not know him. Thank you for confirmation that Mr Chawla has some contact with the Department. Ms Kenye: Are there any other cases, according to your knowledge, of sudden appointments of officials to postings abroad outside of normal HR processes? If so, what is the reason? Mr Kobese: As I have already alluded in terms of the different categories we have full term, short term and relief duty deployments. Whenever we have short term and relief duty deployments we do not follow normal HR process because that is guided by a different policy called Foreign Services Dispensation Policy. We do that on a continuous basis and it is covered by a different policy. Ms Kenye: Is there any reasons why these allegations of irregular appointment should not be prosecuted in terms of the Prevention and Combating of Corrupt Activities Act? Mr Kobese: As an official of the Department and as a person who was involved in execution of the responsibilities assigned to me when OUTA has evidence of wrongdoing it is not for me to say they cannot lay criminal charges. From where I am sitting, I have not come across any inkling that there was corruption. I am comfortable with the role I played. I am comfortable with the process I oversaw. There was no corruption involved. If an outsider is able to say or any other person is able to demonstrate there is corruption that depends on them to do so. Ms Kenye: If there is corruption what can be done to curb the irregular use of taxpayers’ money? Mr Kobese: The time I joined the Foreign Coordination and Support in 2012/13 the Department of Home Affairs had around 66 officials deployed to foreign nations. As the years progress the number is declining now we are deploying 30 to 40 missions. It is an outcry by DIRCO because they need our expertise as Home Affairs because we are the only ones who understand the Immigration Act. It shows the role we are playing to be able to cut down costs. It is not a nice thing to cut down the officials that are deployed to missions because it is very important to have people who are skilled and capacitated in foreign nations. Yes, we are involved in cut costing measures. In presentations by OUTA and in media statements it is claimed that the positions filled by the two officials to India were unfunded positions and were vacancies that did not exist. I need to clarify this is not based on facts but on fiction. I am saying so because I am the one responsible for the running of the unit. DHA does not determine posts in foreign missions there is something called foreign missions structure. DIRCO will state to us these are the posts that we have in each mission and these are the posts that are available. Based on our budget we look at what funds we have available and which posts are critical to fill. During the period under question we advertised the positions, as I indicated, and there were officials who went through security clearance. One of the officials who was meant to go to India, Mumbai, did not get the security clearance and because we allowed the process to appeal to SSA we took long to fill the position until a time we felt the mission cannot continue without an official. We only had one person in Mumbai instead of two people. Where we are referring to Ms Maziwa being sent to Mumbai for a post that was not vacant and not funded is not true. The post was vacant but it was funded. When we sent Mr Christians to New Delhi it was based on the consideration that we had a post that was funded in Munich and we were getting a lot of requests from DIRCO that Munich is an economic hub of Europe there is no way we cannot have a Home Affairs official in Munich. We decided, due to the challenges of capacitation in India to move the official to the post that was funded in Munich. Then we filled post that became available in New Delhi with Mr Christians. Both posts were funded it is not true that they were not funded. Chairperson: So why did you not send Mr Christians to Munich rather than moving the official? I understand there were a lot of complaints because he was not cooperative and had a very bad relationship with staff, and in particular Mr Chawla was not happy with that official. Which part of the foreign services procedure deals with temporary deployment? I want to understand this movement because if we were to call that official and engage the official to an extent that he is able to share with us his frustrations with that office, do you agree that he was highly frustrated and had problems with that office? Mr Kobese: There were issues in relation to the operations of the office in New Delhi. Those issues are captured in the email where we got a lot of complaints from the Department of Tourism about how the office was functioning. Chairperson: Did Mr Chawla complain about the service from that office? Mr Kobese: No, not to me. The email came from an official from the DTI. We also had lots of complaints from the head of the mission. We engaged with the official and you can confirm with him. I spoke to him and told him the problems we were having then I discussed with him the possibility of moving to Munich which he accepted. We had to follow the process of doing that and ensure we got the consent from the head of missions in Munich which he did accept. He was amenable to us shifting him because of the many complaints we were getting from clients and the Departments. To put things into context this happened over a two year period. In terms of the foreign dispensation you are allowed to do intermittent transfer. You are allowed to move officials around missions. The officials that are placed in what we call hard missions are only supposed to spend two years and then have to be moved to other missions what we call cream missions such as London and USA. This is the terminology that is used in foreign services. Munich falls under a cream mission. Ever since the official moved to Munich we never had complaints from the head of missions in Munich. Chairperson: Do you have complaints in New Delhi now? Did the official deal with Mr Chawla? Mr Kobese: No, we have not had complaints in New Delhi. Yes, he did deal with Mr Chawla. Chairperson: Okay, now that he is gone Mr Chawla is now getting services and does not complain anymore? Mr Kobese: Everyone, not Mr Chawla alone. Ms Dambuza: Thank you Mr Kobese for your information. You have alluded to the appointment outside the usual HR process and I want to assure you that there is no misrepresentation in our report. The information that we have is just quoting as you were quoting. It says, “Mr Kobese stated that this deployment was done outside the normal recruitment processes” and that is what you are telling us now. So, I want to assure you there is no misrepresentation from the Portfolio Committee. You should have received a copy of the advertisement and a copy of the vacant post but you are telling us now that there was no need for that but yet you were the one who protested it. In your own words, it was supposed to be done like that. Do you know Mr Siyamthanda Lekotla (*spelling not verified) If you do what is the role of Mr Siyamthanda Lekotla (*spelling not verified) in your discussion about this matter? Tell us, who brought this instruction or communicated this decision so that this decision should be implemented? Can we be appraised with the letter of request from DIRCO for the appointments? We need to talk about something that is written. Do you know Mr Bhiya? Who is Mr Bhiya and what is his role? What is your working relationship? Do you know these people I am referring to? Mr Kobese: Let me break this down so that we are moving together. South Africa has 265 missions in total abroad. In those 265 missions DIRCO is going to say to us we got so many Consulate offices and we think we are going to need DHA support because the missions have high volumes or applications. The discussion took place in 2010/11 when Minister Nkoana-Mashabane was still the Minister. There was a categorisation of missions into high volume and low volume missions. It was there when it was agreed to which missions DHA officials would be deployed. So, there is a document on the categorisation of missions and when we deploy officials it is informed by that document. As time progresses we have even withdrawn some of the missions agreed on to deploy officials because we do not have the resources. We have lost 25 missions that we are not deploying to. There is no letter that we have deployments are based on that document that we have on category of missions. When a new mission is opened, on top of the 265, DIRCO will send a note to all Departments that it is opening a new mission in this country and if you want to have an official you must give an indication. There is no mission that we have sent an official to that is not part of the 265 missions. Ms Dambuza: You have an agreement of 2010 to 2011 and in the course of the period you receive a note that advises you and then you work on that note? It is very critical that you received the note and there is nothing wrong. Mr Kobese: When a cycle comes for us to deploy we do not get any note because already we know which missions we deploy to so what we will then say to DIRCO instead of sending officials to 60 missions in this cycle we are only going to send to 40 missions because we do not have enough resources. We are asking you as DIRCO to take over the other 20 missions because we do not have the capacity. Where we resuscitate a mission, we go back to DIRCO and say we are reviewing and will be resending an official as part of our agreement. Ms Dambuzo: We have transcripts and recordings. It came out of you that you have an agreement from 2010 to 2011 but when there are requests there is a note. It is recorded. You cannot just discuss without anything in writing. Chairperson: What is your email address? Chairperson: On 3 November 2015, did you send an email to Mr Chawla? Mr Kobese: I won’t recall, 2015 is many years ago. I do not know who Mr Bhiya is. Mr Christians will be in a better position to answer himself what his relationship is with the Guptas. I don’t know the person but I know the name, Mr Siyamthanda Lekotla (*spelling not verified), he is in the office of the Minister. I don’t know the face of the person. The submission came from the Minister to my Chief Director and then to me to implement so I got the submission from my Chief Director, Ms Nomzamo Myakka (*spelling not verified). Ms Raphuti: The Chairperson has indicated about the email sent on 3 November 2015. You communicated departmental information with Ashu Chawla. What compelled you to communicate with Mr Chawla about strategic positions in the Department and you even indicated its high secret information? You said the person deployed in India was problematic so why deploy a problematic person to a cream mission? How did Mr Christians manage to obtain top secret security clearance so quickly while some people have challenges in getting security clearance? How long did Mr Christians’ security clearance take? Mr Kobese: Read the email of 3 November 2015. I don’t know why this information would be relevant for Mr Chawla because the contents are letters issued by HR. Chairperson: That is what we want to know. How does Mr Chawla get involved? It was sent by you to Mr Ashu Chawla. Mr Kobese: I do not know the significance or relevance of why I sent it to him. Maybe it was by error. Honestly, the documents referred to have no significance to him they are not supposed to be for his attention because there is nothing he can do with them. I don’t know what happened but I accept that I did send the email. Mr Hoosen: When you first started presenting to us one of the things you said is that you went back and checked your emails for how many emails there were between you and Mr Chawla because you couldn’t understand why you got this reputation and you said they were less than ten emails. I have more than 15 emails and those are the ones I counted because I do not have enough. You have come before us and essentially lied that you checked your emails unless of course you having a memory problem. The significance of the email that was pointed out to you now my submission is, and you must tell me if I am wrong, there was a very close relationship between yourself, Mr Chawla and Mr Christians and the three of you were running a racket together. I am sure you had a conversation with him and you will probably say no and I will not believe you because Mr Christians then also sends the same correspondence when there were problems to Mr Chawla. He says to him it looks like there is a problem with my appointment. The both of you send the information to Mr Chawla. So clearly he was involved and you would be doing yourself a lot of favour if you just come clean about it and say yes Mr Chawla had spoken to me about the appointment. Did you have that conversation with Mr Chawla about Mr Christians’ appointment? Mr Kobese: Unfortunately not. I was not part of any racketeering. I never knew Mr Christians until his time of deployment because Mr Christians was in mission in India at the time I joined the foreign coordination office. The only role I played was returning officials. When you return officials person by person it is an operational process. We have HR that is dealing with that so I do not know everyone that was brought back. I only became aware of Mr Christians at the time of his deployment. I never had any relationship with him and never even knew him. Ms Mkhaliphi: How would you describe your relationship with Mr Chawla? Mr Kobese: Like with any other person that I have. The first time I heard about the Gupta emails was through a reporter from Sunday Times. She comes to me and says they are busy writing a story for Sunday Times so I am implicated in the emails and showed me where I was implicated. I demonstrated to her that I am not and if I am implicated then I am definitely going to go down because there are people that have I email communications with that are not Gupta related. There are people who ask for my assistance on a daily basis. I gave her evidence of the people I worked with and she never wrote the story because there was nothing. Chairperson: Did you inform you seniors about it? Who did you inform? Mr Kobese: Yes, I did. I spoke to the Director General, Mr Apleni. The journalist did not come to me directly but came through the spokesperson of the Department which was Mr Mayihlome Tshwete. So Mr Tshwete informed me there is a journalist that wants me to speak about this, it was not out of my own evolution. Chairperson: Did you communicate highly sensitive information with the other people you email on a daily? Mr Kobese: I take note of that one and like I said I accept it but I do not know what was the significance or relevance. Chairperson: Yesterday, you saw when we were dealing with other officials they all said no we do not know Mr Chawla and we have not had contact with him and the emails are not authentic etc. You are a young and very energetic official of the state who takes ownership by saying you know Mr Chawla and take responsibility for the high level information you sent to him and are to blame. It seems this relationship existed prior and beyond the emails there must have been communication telephonically as well. Your acknowledgment is very important as we make our findings and recommendations as a Committee. Lets give you this opportunity to disclose any relationship you may have with Mr Chawla. Mr Kobese: As I have indicated, I did get requests for assistance from Mr Chawla and I did assist where I could. I need to put things into context. Firstly, for any applications involved in the missions, a person cannot request for assistance before there is an application and where there is no problem. Most of the time we are brought in because there are problems. There is a gentleman the Embassy was refusing to give a visa then I am told I used strong language. I do not do that I have great respect for officials and we talk to each other. I then gave special instructions that by you denying this person the right to come and run the Mandela marathon do you know what you are doing for Africa. I had to be hard on them. The gentleman was given a visa. He came to run the marathon and won the Mandela marathon. There was also a movie done by Sean Penn here in Cape Town. He chose a young girl to be in the movie from Kenya. She was denied a visa and I had to fight with them. It was the month of August and I said to them how do you as a woman not give an opportunity to an African child who is going to feature on an international movie on a technicality. So, these are the types of things that we do. We are asked to intervene when people are doing things that are not within the law but are becoming a law unto themselves. I can tell you with confidence, without any fear of contradiction, where Mr Chawla has asked for my assistance it has been based on things that are within in the law. Mr Hoosen: None of us have a problem with you as a public servant going above the call of duty to assist people that is exactly what we expect from Home Affairs officials all over the country. It is a thing we fight all the time and what we are trying to fight against is where HA officials give preferential treatment to specific individuals or families and break the rules to do so. I have no doubt you have done some great work which we are grateful for but we equally have the responsibility to push you for an answer on those things we think you have broken the rules. One of those is a gentleman by the name of Mr [inaudible]. It’s an email from Mr Ashu Chawla. He introduced this gentleman to you and asked you to sort out his intra-company work transfer visa. So, you arranged for him to go to the mission to see Mr Mashaba who then did the assignment and said no sorry he does not qualify and the requirements are stringent but with you it was a quick process because Mr Chawla asked for it. There are also emails from Mr Chawla saying I need a visa today and it happens ‘chop-chop’. If it is within the law, then we have no problem but our suspicions are that it is not. One of the things said to us yesterday during the presentations is that you are a music director and there are conversations between yourself and Mr Chawla around the music you produce. So, have you sent Mr Chawla music for him to assist you with and what was the purpose of sending him that music? Mr Kobese: Thank you for the kind words. I do not know what communication happened between Mr Chawla and Mr Mashaba who is a very experienced official. I can tell you without fear of contradiction Mr Mashaba will never take an illegal instruction from me. I am sure there was a misunderstanding and we were able to resolve it. I am not the one that went back and notified Mr Chawla that the visa has been approved meaning whatever discussion we had he concurred with me. Mr Hoosen: I disagree with you because this is what Mr Mashaba said in the email, “..the matter has been resolved by Major Kobese with an unambiguous decisive instruction to have the visa issued respectively.” He does not say we have resolved the issue; it was my misunderstanding. I agree with you that Mr Mashaba won’t break the law but he is making it very clear that he is not making this decision Major Kobese is because, a day or hours, before that he said it is not going to happen due to inability to meet the requirements. Enter you then he writes that message based on your instructions. So, he did not make the decision. Mr Kobese: We are talking in hindsight. I do not know what discussion we had. It could be there were additional requirements that Mr Mashaba imposed on top of the requirements and when officers do that I instruct them not to. Although, we have published regulations Embassies will still put their own additional requirements and people fail those additional requirements. In those cases, I tell them to waive them because they are not legislated. Unfortunately, we are speaking in hindsight now so I wouldn’t know what the discussion was and the issues involved. It is unfortunate and I hope you can accept that. Chairperson: How does your brother know Mr Chawla? Mr Kobese: His got his own business and has met Mr Chawla previously unrelated to me. Mr Hoosen: What are the names of your brother’s businesses? Mr Kobese: I don’t know so I will have to check with him because I am not involved. Chairperson: The businesses have nothing to do with Home Affairs? Mr Kobese: No, nothing at all. He sent the music to different radio stations and TV stations. It is a song called, Africa Unit in Swahili and it was before Africa Day so he sent it out so they can play it. It was never played. If I had a relationship with Mr Chawla it would have been played on ANN7. Chairperson: There is nothing wrong to have had a relationship as long as it was not corrupt. It is my understanding there was no corruption here. Mr Hoosen: Please share the emails you said you had with Mr Chawla? Ms Mkhaliphi: Thanks for your honesty in answering the questions. We hope that we are going to get more answers for the findings of the Committee. There is a claim made by OUTA on page 58 to 61 of the document submitted, yesterday, that you are the person responsible for permits and visas in the Department. “We have reprimanded staff to act swiftly whenever Mr Chawla is requesting something.” What do you have to say about that? Mr Kobese: I would say it does not have any basis. The only enquiries that came to me came as secondary. They made an application communicating with the Embassy and when a person is not getting joy from an Embassy I am made to intervene. There is a way in which we operate in the office. When I get an enquiry from a person about an Embassy I first process it with the person that is meant to deal with it which is the regional coordinate for the region. If there is an application in the system that should have been processed in five days and it is taking longer for an example more than two weeks I ask the official to do it urgently. I am not fast tracking because it is already on the system. It is an application that has passed its time. Ms Kenye: It says that you reprimanded your junior staff to act swiftly whenever there is an email from Mr Chawla. So, don’t talk about the regional coordinators in Asia or Europe. Did you issue such an instruction? It was said under oath and there is a document talking to that fact. Mr Kobese: I would say it is definitely not true. Ms Mkhaliphi: They further made another claim, on page 13 to 15 of their document, where you acknowledge the appointment of Mr Christians did not come through normal processes. What can you say about it? Are you happy or unhappy? Mr Kobese: As I explained, the normal process would have been the post advertised and going through the recruitment process. So, I said in this instance we did not follow that process but followed another process for extension to fill a vacancy outside the normal cycle of deployment. We are having people already sitting in a pool and have already gone through the process. Chairperson: It is correct that you might not have known Mr Christians and there is nothing wrong but at the end of the day arrangements were made quickly so Mr Christians can be appointed. The process was followed outside the normal processes. We will get to know who picked up Mr Christians and how he was then brought to the Minister. You then agreed and communicated with Mr Chawla about the process of deployment kicking in which you confirmed in an email sent to Mr Christians. You sent very key secret information that was not meant to go there. After Mr Christians’ appointment everything then went on okay and there were no complaints. Mr Chawla wanted processes to be fast- tracked and he was in charge and doing so. There is a relationship with Mr Chalwa and you, not in bad faith or corrupt but at the level of providing a service and assisting. Mr Chalwa may have his own intentions and you at face value of the relationship consider it fine to assist as soon as possible. In your mind, you were driven by this close relationship that already exists and there is nothing wrong. There is nothing that says you were corrupt in the process. You are putting a hand to assist a process which is why you even vouched for him and said if anything to do with Mr Chalwa comes officials must try and fast track. It is because of that relationship; it goes deeper, your own brother has even communicated with Mr Chalwa around assisting him with music he wants to play. I understand that and the point I am indicating here is that somehow then you compromise the responsibility of being an officer of the state. Then you share sensitive information with people that are not in the system. This is my understanding of what is happening. Mr Kobese: Your summary leaves me in a ditch. You give me a boat to sail on but the same boat you opened lots of holes so by the time I am in the middle I just drown and you say, sail on young man. Chairperson: We like your openness and you would not have gone under oath if we knew you such an open person. The openness you have shared with this Committee has brought so much light. You have honestly helped the Committee. No one is going to arrest you from here no one is going to file any charges. Mr Mkhaliphi: There is an email on 14 October 2015 where you wrote to Mr Hlengwana to confirm the receipt of the submission signed by the Minister and this seeks to request you to issue Mr Christians transfer letters. You said under oath you raised a concern that proper procedures were not followed in the appointment but you also send an instruction via email to Mr Hlengwana to process the appoint of Mr Christians. Did you raise this with the DG or anyone in the Department that his appointment was not procedural? If you did, why then are you issuing instructions in your capacity to appointment him? Mr Kobese: I never considered or said or implicated that process of appointment of Mr Christians was informed by Mr Chawla, I never said that. I said, from the onset, the submission came me to me through an internal process. I do not have any evidence that Mr Chawla was involved prior coming to me. If he was involved then I am not privy to that and it was never bought to my attention. I may have sent the email but I sent it by error. Chairperson: This for me forms the basis that Mr Chalwa was highly involved and influenced the appointments. It may have been by error but the conclusion we are making is Mr Chalwa was very involved in the appointment of Mr Christians. 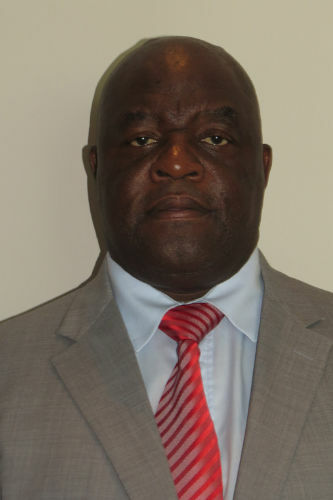 Mr Mkhaliphi: I have not been answered because I want to examine that he wrote proper procedures were not followed for the appointment of Mr Christians but at the same time he wrote a letter to say please let us appoint him. So, I want to know did you raise the concern that proper procedures were not followed in the said appointment. All of us in this Portfolio Committee have been on oversight outside the country and we do have an interest to check on Home Affairs offices. When we meet with HA officials abroad they always complain about budget constraints and that they are understaffed. OUTA made a claim that you have also been questioned about no vacancies abroad but you decided to ignore that and said if there is a command from elsewhere you are going to hire people without any budget. How can you do that when the Department is facing serious financial constraint? Why do you have to create a vacancy when you are informed there is no budget? Mr Kobese: Let me try to clarify this again. What I said was this was a conversation between me and HR and there were things that HR wanted in terms of the recruitment process for their pack. I told them that they cannot request those documents because in the filling of the positions we did not follow the normal HR processes. Instead of advertising the post, we took the people from the pool with training and security clearance because it was only two vacancies and not a bulk of positions that will need advertisement. If we are taking people from a pool, we will not have advertisement of the post and interviews. I was explaining to them they cannot request those documents as if it was a normal process because it was not. In the email, I clarify in detail why they can’t ask for those documents. The process that was followed was not illegal it was just different from the normal HR process because we were filling two positions in the missions. I also tried to explain that it was not true that the posts were not budgeted. The position in Mumbai, like I explained, was advertised and the person appointed couldn’t get security clearance we allowed the person to appeal to SSA. When we determined, the outcome was not going to change we then got another person to fill the position. The position was already there and advertised. The post for Munich was funded. It was not filled but it was funded. The only thing we did was not advertise for the posts. I can send the spreadsheet for the cost of each mission and position. Mr Mkhaliphi: So, you were not warned that there was no budget and then continued to employ people without a budget? You were not warned at any circumstance? Mr Kobese: There was a discussion between us and HR. Government was overspending on costs of employment. Government took a decision that posts that are vacant should not be filled and should be unfunded so that we are able to break even. There was agreement the posts for missions wouldn’t be affected by the process of not funding positions. HR, without consulting and telling us as the foreign nations department, unfunded those posts. So, we were explaining to them the posts for missions are not supposed to be unfunded. The only posts that were supposed to be unfunded were posts within the country. This was the argument with HR. It is not that the positions were unfunded they were unfunded by HR. It was an error done by HR without consulting us and we then instructed them to fund the posts. Ms Kenye: I still maintain why was the normal HR process circumvented? There are so many grey areas in this regard. Mr Kobese: When I say under normal circumstances the deployment to foreign nationals is driven by officers in foreign office coordination support. We initiate the submission, draft it to the Minister then it comes back to us. HR only comes in after the Minister has approved to issue the letters of appointment. In this instance, it was HR that drove the process and not us. It was the other way around but it doesn’t mean it was not procedural because HR is still the employer. Chairperson: There are gaps left that need to be answered. We may have to look at calling HR and inviting Mr Steyn to come. My take was that we were going to do this inquiry within two days because we have identified where the problems are. It is very clear Members that we may have to sit on our own again and look at the evidence that has been provided. Earlier, we mentioned you are the most reliable witness but you have opened gaps that you have not been able to answer. You have confirmed the emails and some you deny. We need to get the truth, and I note that you are not able to elaborate on the issues of HR. The Committee also expects from Mr Chawla to appear and to hear from him because many of the things we are dealing with here are around Mr Chawla. Ms S Nkomo (IFP): My assessment from the information we got from Mr Kobese and what was said in-between the lines got me worried. What was said in-between the lines are that a lot of the things written in the documents pertaining to him are incorrect or untrue. He seems to be quite a powerful man because when it comes to issues around assisting Mr Chawla with visas one gets a feeling there are figures and he can give us an answer how many visas were sent through on his side from Mr Chawla? On the documents, it reads that you are a hard person who does not treat people well when you reprimand them. After hearing from you, it gives a different picture. How many people have gone through a process of been reprimanded for going against Mr Chawla’s matters? It is important to state that for a vacancy to be effective it needs to be budgeted but it also seems a person of your nature puts people in positions that are unfunded. What does that mean to overspending? Who actually gets to pay back that money in the end if there is overspending? What is written here…it is as if he appoints people as he pleases. Mr Kobese: I tried to explain that the posts were funded and budgeted for but they were not filled at the time they were supposed to be filled. That is where the problem was and I explained the reason they were filled at a later date. One official who was appointed to the position couldn’t get her job security clearance. It is a pre-requisite and we couldn’t deploy that person to the mission. Mr Alpeni would never allow us to overspend when it comes to figures. There was no ways we were going to spend on posts that are not funded. I am who I am. What you see is what you get. Some people say they have known me for years but I don’t get angry. I do get angry and I cry in my own space. I don’t know what kind of person can be reprimanded by me. I am the kind of person who works with people. I reprimanded an official in New Delhi who refused to issue handwritten visas because the system was down. I had to do that because we give people a handwritten visa to use when the system is down. You can’t then say you can’t issue visas because the system is done. The way it is interpreted it seems I am reprimanding but I am telling the person how to do their job. I wish I knew the number of visas that were issued. I was once given an opportunity to travel to Kenya that is the first time I issued a visa I have never issued a visa before and after then. We respond to enquiries and we have to make an intervention. During power outages we had to give an instruction to officials for the turnaround for people coming to South Africa to be 24 hours because the country was dark. Everything that we do is based on the particular circumstances and we have to check what value do they add. Chairperson: So Mr Chawla did not assist with any music? Mr Kobese: No, he did not. Chairperson: Did you get any benefit from Mr Chawla? Chairperson: You were not invited to any wedding? Mr Kobese: No, I didn’t even see it on TV. Chairperson: You are correct that people would not know you because you are very smooth and straightforward but sometimes you don’t want to share the truth if you don’t want to. Nonetheless, we want to thank you very much. I thought the engagement with you was going to be brief but the matters are so deep; the involvement of Mr Chawla in determining who must come to Home Affairs so that he is able to manipulate the system and get what he wants. Mr Chawla is a spinner and goes as far as saying he is in charge of every office in the country that is why he is able to do all these things. That is why Mr Chawla is able to write a letter to the Minister of Home Affairs to naturalise people and Home Affairs just naturalises people who have not even applied for naturalisation. We may call you back again because you have left many gaps as much as we appreciate your ownership of things that happened under you command. You are now formally released as a witness from this Committee. The Chairperson administered the oath and Mr Gideon Cornelius Christians took the oath. Chairperson: Can you confirm that you are an employee of the Department of Home Affairs in New Delhi and your position in the Department? Mr Christians: I am employed at the South African High Commission in New Delhi, India in the capacity of First Secretary: Immigration and Civic Affairs. Chairperson: What is the job description? What activities do you do? Mr Christians: I am employed as the head of the immigration section in New Delhi. My responsibility is to execute the functions of DHA in both immigration and civic affairs. We mostly deal with visas both short term and long term. Part of our responsibility at the mission not only entails being a member of Home Affairs but we are required, under the leadership of the head of the mission and management staff, to engage in activities related to trade and investments, promoting South Africa as a business destination, engaging with the tourism sector in terms of gaining tourism for South Africa. One of the key areas we deal with is promoting South Africa as a country that is open for business by doing so we facilitate the visa processes. We engage and explain the processes to our different stakeholders. We engage stakeholders as part of our key performance area. It is our daily responsibility to engage stakeholders. So, we have regular meetings. We meet chambers of industries, the Ministry, and an array of different persons in the country. Again, I reiterate our job is to promote South Africa as a destination to attract foreign direct investment and to promote business for South Africa. Chair: When were you appointed? What was the process for your appointment? Did you apply or were recruited? Previously, did you work in foreign affairs? Mr Christians: This is my 22nd year in public service at DHA. I started in 1996 as an Immigration Officer at Cape Town International Airport. A year later I was transferred and promoted to the Immigration Alien Control Unit which was responsible for prosecution and chasing of foreigners. I was working in Cape Town in Barrack Street. I headed the Inspectorate division until 2008 when I applied for a position at Worcester Department for a foreign posting. I then went for the interviews, I didn’t know which country I was going to, I did the diplomatic training, and I secured the necessary security clearances. In 2005 I was deployed to Cameroon as a Relief Duty Official where I served for about six months. I came back to South Africa and a couple of months later I was requested to go to Mauritius to also serve in the capacity of a Relief Duty Official. Once I came back from Mauritius I was deployed to New Delhi, India as Second Secretary for Immigration and Civic Services. My contract was initially for a period of four years but due to the constraints of not being able to fill certain positions in the mission I stayed in New Delhi till 2014. On my return to South Africa I was initially deployed to the Cape Town Office and then Cape Town International Airport in the capacity of Director Inspectorate. Chairperson: The document that is before us now, and annexures, are your responses? Mr Christians: Yes, that is correct. Ms Mkhaliphi: Before I start I want you to note that the Department before us is all males. Emails in the public domain indicate that you were in contact with Mr Ashu Chawla from Sahara Computers as early as September 2011. Can you tell us when you were first put into contact with Mr Chawla and by whom? Mr Christians: I first met Mr Chawla in 2008 during my first posting in the South African High Commission in New Delhi. This engagement took place within the first three months I was working there and it was in the office of the then High Commissioner, Mr Francis Maloyi, it was part of a meeting the DTI representative was also there, Mr Johnny Newman (*spelling not verified), and his manager Mr Temba Mgabe (*spelling not verified),. At this specific meeting the High Commissioner had informed us that Sahara Computers was a company that was based in South Africa. It was regarded as a captain of the industry in the ITC sector at the time and the High Commissioner had requested the Commission to support the work of Sahara in line with the strategic objectives of the South African government i.e. Development of employment opportunities, and attracting foreign direct investment. After that meeting through the years in 2013 Mr Chawla came to India to brief the South African High Commissioner that ANN7 was launching in South Africa and of the investments and employment opportunities the news channel was going to create. Again, the then High Commissioner, Reverend Harris Majeke, requested us to support the initiatives of ANN7 News by facilitating quicker turnaround times for individuals that need to come start the operations in South Africa. Ms Mkhaliphi: Who was the Minister in 2008? Mr Christians: I stand under correction I think it was Minister Naledi Pandor. 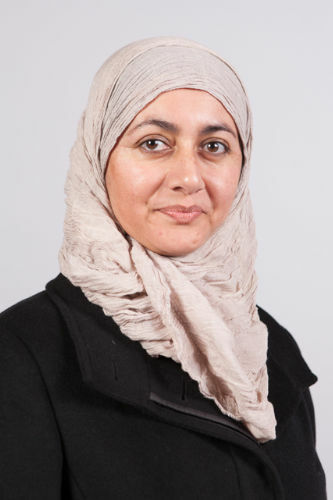 Ms Mkhaliphi: The numerous visa requests indicate some form of closeness between yourself and Mr Chawla. How was this relationship initiated? In such a way that Mr Chawla got comfortable to tell you to prepare a visa within a day. Mr Christians: To put it into context I deal with many business people. I have friendly relations. I know Mr Chawla. I have a friendly relationship with him both when I was there from 2008 until 2014 and going beyond. It is similar engagements I have with any other business people. Examples of these could be CEOs of HCL Technologies, Tata Consultancy Services, and other captains of industry. We have an open door policy which we engage stakeholders on a regular basis. The engagement not only with Mr Chawla but with all our other stakeholders is that they regularly contact us. The purpose of us dealing with them in that manner derives from my Annexure A in the bundle, the strategic planning session that was held in New Delhi, India in 2008. In that session, the mission was clearly instructed that as part of our turnaround strategy we needed to engage and make the customer experience easier but in compliance with the legislation. That was my engagement not only with Mr Chawla but all other members I was dealing with. Ms Mkhaliphi: Are you telling this Committee that all stakeholders that you are dealing with will be able to tell you to facilitate a visa within one day? Is that a regulation of the Department? Mr Christians: In terms of the context that is a request and if that request is sent via email we will look at the merits of the specific case and will deal with the specific case. We take it case by case. There are people besides Mr Chawla that have come to the mission and have requested that they need to travel urgently and need visas within one or two or 12 hours. Those are the processes that we facilitate. Chairperson: Does this mean that the requests from Mr Chawla were mostly urgent requests? It is clear out of the evidence that has been shed here that most of these requests are urgent. Mr Christians: If we look at the timeline of these alleged emails that came out it was during 2013 from June to August. Again, I reiterate we had a meeting in New Delhi with the High Commissioner, Revered Harri Majeke, to say that ANN7 was launching and we needed to support. The urgency of moving people in that specific period was specifically for the launch of ANN7. Chairperson: The High Commissioner then called you and said, ANN7 is launching based on our strategic objectives make sure that nothing stops Mr Chawla regarding his applications for visas because they will be moving people for the launch, this is what you are saying? Mr Christians: I am saying when ANN7 was launched we were requested to facilitate and assist during that period. Chairperson: I am saying the Ambassador then instructs the staff, yourselves, to do the following? Ms Mkhaliphi: Is it customary for the visas to be expedited in the manner that you have done for the Guptas and in terms of what process and prescript was this done? Were your principals aware that you were playing this facilitation role for the Gupta family? Do you believe that facilitation of this family was proper? If so, please explain? You were told to draft a two-year multi-entrance business visa and then told Mr Chawla intended to use the Sahara letterhead to facilitate business visas? Mr Christians: Yes. In terms of our strategic objectives, having quicker turnaround times is normal practice. Not only to the Sahara group but to all other business entities. If I understand correctly, the two year visas was for one Tanvi Gupta in which it is alleged Mr Chawla asked me to facilitate this specific visa. I think if you read the email I question that and I can state now there was never ever a business visa issued to Tanvi Gupta. I have a copy of the information. Tanvi Gupta was issued with a visitor’s visa to join her fiancé Mr Varun Gupta. Each visit was restricted to 90 days. There was never ever a business visa issued to her and that was done in June 2013. After she went to South Africa and married her fiancé she returned to India and applied for a visa to join her spouse which was done in compliance with the immigrations regulation. Chairperson: You are talking about the wedding in Sun City? Mr Christians: I think that is the person. I believe so, I am not sure. Honestly, I think it is her. Chairperson: You were not invited to the wedding? Mr Christians: Yes, I was invited. Mr Christians: No, I didn’t. Chairperson: Why didn’t you go? Mr Christians: I was in India. Ms Mkhaliphi: What did you respond when he told you he intended to use the Sahara letterhead? Mr Christians: In that email I indicated to him that she cannot apply. Why would she want to apply for a business visa if she is going to get married? She was issued with the correct category of visa that she needed. Chairperson: I know there has been inquiry about the landing at Waterkloof Air Force. I am not sure if it considered immigration. DG, was there ever a problem with the immigration part in that inquiry? Mr Mavuso: No what was dealt with was the landing at Waterkloof; nothing relating to any immigration, as far as I know. Chairperson: Do you know how many guests went to the wedding? Mr Christians: I know that people that were applying from New Delhi and Mumbai and there was an inquiry regarding the issuance of those visas by DHA. I think before the acting DG arrived. We responded to the inquiry and sent all the visa applications to South Africa and there was a verification process done to verify all those individuals that attended the wedding. I don’t know how many attended. Chairperson: Can we flag this question? Maybe someone will talk about it at some point. This was part of your responsibility when dealing with Sahara and implies the instructions you got from the Ambassador to make sure Sahara Computers and ANN7 business was facilitated also applied to the wedding guests. I take it Mr Chawla provided the list of guests that need visas processed? Mr Christians: My understanding from my memory when the wedding had taken place Mr Chawla came to India and the applicants had applied three months prior to the wedding. There was no urgency because they were advised if they were going to invite guests to South Africa for the wedding and if it was a large number of individuals then they had to apply two or three months’ prior because the visa validity would allow the applicants to enter within a three month period. We never had a rush closer to the time of the wedding. Ms Mkhaliphi: In February 2015, an email was sent from Mr Chawla to you with passport copies of several Gupta family members. What were you expected to do with these passports? Mr Christians: The first time I saw this specific email was in the OUTA report and when I looked through the email I was no longer in India; I was back in South Africa. I had no business or contact with my previous portfolio. What was concerning to me when I saw this email it seems that the email was forwarded to me eight months prior to being issued to the recipient. If you look at the dates on the specific email, the authenticity of the email is a bit confusing because if it was sent to me in February but according to the document it was issued to Mr Chawla in October which means I wouldn’t have been able to receive eight months prior. There is no communication in this email so I do not know what the email was about. Ms Mkhaliphi: To your knowledge have any of the allegations of fraudulent activities by yourself being the subject of the internal investigation of the disciplinary by DHA? Did Mr Chawla at any stage send you the details of a second hand mini-cooper under the impression that he wants to thank you for the job you had done? Mr Christians: I did receive an inquiry, an audi alteram partem letter, from the former DG requesting me to respond to the allegations in the media. I responded within the timeframes allocated and sent to head office. As of now I am not aware there is any disciplinary. Ms Mkhaliphi: When was that? Mr Christians: The letter was sent 2 June 2017 and I responded on 17 June 2017. Chairperson: Somehow the Department has taken an interest in these emails. Mr Kobese speaks facts that he was approached and he did communicate with the DG when the Sunday Times wanted to write a story but the story was not written. I am saying the Department did take an interest in those emails meaning it wanted to hold you accountable. Is that correct? Mr Christians: Yes, it is correct. Chairperson: That is the Mr Apleni I know. Ms Mkhaliphi: And the mini cooper? Mr Christians: The mini cooper allegation is the email I saw in the OUTA report and I can state right now I have never ever owned a mini cooper. I have never bought a mini cooper. Nobody has ever bought me a mini cooper. I have never driven a mini cooper I am too tall for it in any case. No member of my family drives a mini cooper. Chairperson: Has any other family member or relative ever received a gift from Mr Chawla? Have you received any other gift from Mr Chawla that you have not declared, except the wedding gift? There was a flight ticket and accommodation in Sun City and what else did the wedding invitation include? Mr Christians: I was invited to the wedding. I didn’t receive a formal invitation. I did not receive a flight ticket. I did not receive accommodation to Sun City. I did not receive any of that. Ms Mkhaliphi: Have you ever sent your CV to the Guptas? Mr Christians: Yes, I have. Ms Mkhaliphi: For what position? What powers does Gupta have for you to send your CV? Mr Christians: When I returned from India in 2014 I was deployed to Cape Town Refugee Office in terms of my experience and expertise in the field I now had to be counting refugee files I was frustrated. I sent my CV to many people. I sent my CV to SARS, and some of the corporate stakeholders. Many of my colleagues throughout the world, who have left the Department, have been poached by the corporate companies to work with and assisting them in consultancy services. My CV went out to a lot of people. I did not just send my CV to Sahara computers only. I indicated I have a friendly relationship with Mr Chawla and I sent it out. Chairperson: What was frustrating you? Please share with us your experience at the Cape Town Refugee Office? Mr Christians: When I was in India, the exposure I was getting through DIRCO and DTI, engagements with stakeholders outside and inside of South Africa, and the level of engagement on a diplomatic level was way more advanced than coming to a refugee office and being instructed to find asylum seekers who missed their date of two o’clock to come and sign. It was frustrating for me. The Department sent me out for six years... I gain a lot of experience and now I was put in a little office. Chairperson: Did you ask what was the reason they sent you back and put you in some little corner in the refugee office? Was there anything wrong that you did? Mr Christians: The post that I was returning to was a vacant post that I had to fill in terms of the establishment of the Department. Chairperson: Was it on the same level as the post that you had in India? Chairperson: Did you inform the DG you were a little bit frustrated in the position? Mr Christians: To be honest with you today was the first time I sat and spoke to the former DG, Mr Apleni. In terms of process you don’t have access to a senior member of the Department. Ms Mkhaliphi: Which year was it when you sent your CV to the Guptas? Mr Christians: I stand under correction I think it could have been 2014. Ms Mkhaliphi: Did you give Mr Chawla the intelligence report in the form of a spreadsheet, the document tilted, ‘Foreign Nations Budget 2014/15’, with details of 51 officials appointed to different diplomatic missions such as Angola, India, China, UK, with the breakdown of details of each officer’s salary, and allowances? Mr Christians: I don’t remember that I honestly don’t. Chairperson: Just hold on to that point because we may have missed it under Mr Kobese. It is one of the most important points that we have identified. Ms Mkhaliphi: Did Mr Chawla ask you to remove a travel ban to a cricket administrator? Mr Christians: I also saw that in the OUTA reports that was apparently sent to me. I haven’t seen it. I was the one who rejected the application and I have records. The application and the comments in 2012 was a fraudulent invitation letter submitted from Sahara. This person had never ever been to South Africa before so I did not lift any ban. In terms of our visa systems I cannot lift a ban at the mission it is only done through head office. Mr Hoosen: We have already established you and Mr Chawla are good friends or friends, whichever you prefer to describe him, do you still intend maintaining that relationship? Mr Christians: We are friends but let me put it this way Mr Chawla doesn’t come over to my house and meet my family and friends if I have a braai. We have a relationship, a friendly relationship and yes we still maintain that relationship. He calls me to find out how am I doing that is the relationship I still maintain. Mr Hoosen: You understand the relationship and the professional barriers that are there which is why you didn’t grant that one application? There is no chance you would do the things you were alleged of in the OUTA report and emails? Is there no possibility of you distributing state information to Mr Chawla? Mr Christians: As I indicated earlier I don’t remember that. Mr Hoosen: I am asking you based on your relationship with him. You can speak to this because you know what your friendship is with him? You yourself said, you were friendly with him but you wouldn’t invite him over for a braai so you would remember if you did so because that would be breaking the rules and you don’t do that, is that correct? Mr Christians: I maintain I don’t remember and won’t be able to comment on that? Chairperson: Have you been to Mr Chawla’s house? Have you been to Saxonworld? Mr Hoosen: You were here earlier when we were talking about the whole discussion around your appointment, do you remember that? Mr Hoosen: I refer to a document which I suspect you might be familiar with someone had sent this correspondence between Mr Kobese and others and you didn’t then forward it to Ashu Chawla and you say Bhiya? Mr Christians: Bhiya in Hindi is a term that speaks to brother or friend it’s like Chief. Mr Hoosen: The spelling is incorrect. Someone sent this to him unofficially is what you saying? Mr Hoosen: There was a fight with HR to issue the letter to you? The other issue is the security issue. This is internal departmental stuff you sharing with him, is that correct? Mr Hoosen: What was your reason for doing that? Mr Christians: If I can just put it into context. Prior to me going back to India people in India knew that I was coming back. People in different industries were calling. From the communication that I have seen this was in October, five months later I left them. People were inquiring by me when are you leaving? Are you leaving? What is going on? There was no malice intended because Mr Ashu Chawla was asking me when are you going? I responded I don’t think I am going. This is the communication that I received unofficially and I don’t have a security clearance so I don’t think I am going. That is the context whether there was internal communication. I accept that I should not have done so. Chairperson: Let’s look at the context of that email. What is the content of that email that you sent to Mr Chawla? In front of me is an email that is highly confidential. It deals with the country of deployment, the mission, the name of the person in the mission, the level of the person, the personnel number, the number of children with the person and the education allowance of the children, the rental amount and location, the water and electricity, and the salary of the person. It provided information on 63 First Secretaries in missions. Anyone in possession of the email knows everything about the deployment in 63 missions. This is treason to have such information in public hands. Did you alert the DG that you have sent such information to Mr Chawla? Mr Christians: Are we speaking about the same email? Chairperson: Yes, what is your email address? Chairperson: This information was sent out on 31 October 2015 at 14:00 from your private email to Mr Chawla. I don’t have a problem with your relationship. You have this beautiful relationship, its cozy, and I want you to acknowledge it. The email will require us to do urgent intervention, I don’t know what, but Mr Mavuso, acting DG, needs to address this matter. It will require us as Parliament, as we deal with this inquiry to immediately get the necessary law enforcement agency to come and consider this concern. Whoever is in possession of this information is in possession of highly sensitive information that none of these Committee Members even had and Mr Chawla is in possession of the email. This has made it an investigation beyond this inquiry of Parliament. I am not saying it is you because there is a challenge of this email but the email that you confirm is your email and the email of Mr Chawla confirms there has been this communication. I want to pay serious attention to this matter. We may want, colleagues, to work on getting an urgent summons to summon Mr Chawla to come here. We may have to work on that as a matter of urgency. Take this information to the Speaker and then request based on our engagement today we have come to understand there is this information that is high security information that Mr Chawla is in possession of and we request to issue out a summons to get him back in the country as a matter of urgency. We can’t just leave it. It is not one of those emails we can ignore and say it is fine. Mr Hoosen: You explained that you don’t own a mini cooper and no one in your family owns one. What was the reason for you sharing the pictures of various mini coopers? It was a very random act. Mr Christians: According to the email that was forwarded to me, I have no idea. Mr Hoosen: Did you ask him? Mr Christians: No. I have 40 000 unanswered emails in my email account so I never responded to it. Mr Hoosen: Till this day you have never responded? Mr Christians: No, I haven’t. Mr Hoosen: There was some correspondence between yourself and Mr Ashu Chawla around the Dubai visas for yourself and family. Do you know about that? Mr Christians: Yes, I do. It was in December 2014 once I was back in South Africa. I think my brother was traveling to Thailand or going to Dubai he then requested he was going and needed to apply for a specific visa and needed a sponsor. I told him I know some companies based in Dubai this is the email address of Mr Chawla, a friend of mine, email him and see if he can assist you. Mr Hoosen: There was also some correspondence between yourself and Mr Chawla around coal mining. What was that about? Mr Christians: From the email in 2011, I think at the time there was a businessman that approached me and indicated that he was looking for people in coal and asked me if I knew anybody that was in the market of selling coal. At the time, if memory recalls, Tegeta was being purchased by Oakbay or one of the Sahara companies. I informed Mr Ashu Chiwla there were some people looking for coal if you are interested I will connect you with the individual. If memory serves, Mr Chawla indicated one of the brothers was coming to India and I can meet them for coffee and bring it up with them as well. I did meet with one of the brothers. I don’t know who it was I think we had some coffee. Mr Hoosen: Who did you have coffee with? Mr Christians: One of the Gupta brothers. Mr Hoosen: Do you know which one it was? Mr Christians: I honestly don’t know which one it was. Mr Hoosen: Was it good coffee? Chairperson: This game of I don’t know which Gupta brothers it is has to end now. You are saying you had coffee with someone you do not know? Mr Christians: My submission is I don’t know. Chairperson: If we were to put the three pictures of these individuals would you point which one you met for coffee? Mr Christians: If I see the picture I will be able to. Mr Hoosen: It is very clear that when you know something is going to get you into trouble you suddenly can’t remember. It is obvious; we can see it. At least here in Parliament you have some level of protection. I would appeal to you to rather come clean because the evidence is there. You will eventually remember sharing some state security with somebody outside. You shared top confidential information from Home Affairs with Mr Chawla. You shared information about coal contracts. You had a conversation where you referred one of your brothers about visas to Dubai with him. You meet with one of the Gupta brothers. Your relationship was much broader than just an ordinary relationship, isn’t it true? Mr Christians: My submission is I indicated that I have a friendly relationship with him. Mr Hoosen: It is much broader than that. Do you consider given what I have told you now that you had a proper or improper relationship with Mr Chawla? Mr Christians: I do not think that I had an improper relationship with Mr Chawla. Mr Kekana: How often do you speak to Mr Sikakane, Mr Mkhize, Ms Ramukoka (*spelling not verified), Mr Apleni, the Minister, and Mr Ramashia. If so, what were you speaking about? Mr Christians: I met the former DG today for the first time in this chamber. I have never spoken to him before. The Minister I met for the first time last night. I have never spoken to the Minister before. Mr Mkhize, I met yesterday or the day before. Mr Sikakane, I met many years ago when we were still working in refugee affairs but I spoke to him in this past two days. We have never spoken out of that. Mr Kekana: What was your role, direct or indirect, official or unofficial on the matter of naturalisation? Mr Christians: I don’t deal with naturalisation. I never have I have no role in naturalisation. Mr Kekana: Have you ever spoken to anyone about it? Ms Shabalala: The Gupta brothers brought a lot of people from India to work in their companies. How many of those visas have you facilitated? Mr Christians: I would lie if I told you the exact number but what I can say from the New Delhi office when we did an investigation from ANN7 there were 37 intra-company work visas issued for people to start up the ANN7 studio. Ms Shabalala: Is it possible for you to provide us with further information in terms of the rest of them because the visas were issued to a lot of them. Mr Christians: I will check the departmental records. Ms Kenye: On 11 June 2013, there is an email that talks to Gosh family (*spelling not verified) who requested visas for the wife and son. It was requested the following day. How many of these visas are issued within a day? What is the actual timeframe? Are visas not done face to face? Who does the number belong to, is it a reference number? What was the response from Mr Chawla when you did not approve the two year business visa for the wedding? He then said he is going to send you a letter on the Sahara letterhead we do not see your response only the subsequent drafted letter. What does it mean when Mr Chawla said she was not my dependent yet but will change to dependent? Mr Christians: There was an inquiry with me regarding the two year business visa. I indicated, why are you applying for a business visa if the person is going to get married in South Africa? There was then some communication that she was a dependent in that email I responded no she is not a dependent yet. The lady was never issued with a two year business visa. She was issued with a visitor’s visa to meet her fiancé which was the proper process. I advised the correct process and procedure and the correct visa was issued. Ms Kenye: The problem is your responses are not showing on the email. Did you respond verbally? Mr Christians: I don’t know. All I can read is from the email and based from what was issued from the mission. I might have called him and advised him I am not going to issue the business visa and this is the proper visa she requires and should apply for this specific visa. In 2010, the South African High Commission in New Delhi outsourced its front office in terms of the submission of visa applications. People do not come to the High Commission they go to VSS. They submit their application with all the necessary documents, passport and fees. The responsibility of verification of documents is also VSS. There is a process of data capturing. The applications are sealed and sent to the Embassy via courier. Once it comes to the Embassy our front office staff remove the application out of the secured packages and are placed as per date for the adjudication process. Our responsibility within the back office of the mission is to consider the application in terms of what is presented to us and verify if we have any doubts. I either approve or reject the application. There is no face to face application to the mission. The timeframes differ from local offices in South Africa and the offices abroad. In South Africa, there is a centralised hub where hundreds of applications are forward from the provincial offices to head office to a hub. The timeframes there for a visa are five to 10 days or 15 days and for long term visas it might be more. At the mission, which is less busy the timeframes can be between one or two days depending on the number of applications you receiving. Long term visas can be a period of 10 days. If I receive work visa applications I can deal with them immediately if everything is compliant. Ms Kenye: Mr Chawla is always complaining about the time that is why I asked. Chairperson: Was that part of the mandate given to you by the Ambassador that Mr Chawla would dictate the timeframes and your work would be to comply? Was this part of the brief you were given? Mr Christians: In terms of facilitating the visa faster we would look at the specific facts of the case. Mr Christian identified Rajesh Gupta as the brother he met for coffee. Mr Hoosen: Was that the only brother you met and the only meeting you had? Chairperson: Did the brief from the Ambassador also include the coal deal? Mr Christians: I wasn’t facilitating a coal deal. It was putting two people together. There was no coal deal. It was the mandate in terms of the promotion of business. As far as I know nothing happened. There was no sale of coal. They speak about a 2.5% that 2.5% wasn’t for me it was in terms of whoever was going to facilitate the deal and I put these people together. Chairperson: You were going to get 2.5% if it had gone through? You would be sitting with how many billion? How big was that deal? Mr Christians: Yes, I would most probably not be sitting here. I did not receive anything. Ms Raphuti: I just want to say that you are such a lucky man. You managed to obtain your security clearance very quickly. How long did it take? In most of the departments it becomes a tedious exercise to vet people. When did you come back from India and what was the reason for you to come back seeing as you were doing excellent work? When you were issuing the visas, who instructed you? Who were you working with? Were you reporting to someone? Or were you working alone? Mr Christians: I waited five months to be deployed. I returned from India in February 2014. My term had come to an end because we are deployed in terms of a contract and it had expired. I report to the head of mission. All officials within missions all around the world from whichever department your immediate reporting line will be the head of the mission and the management team. Depending on how busy the mission is we are two officials in the mission. Chairperson: Was the meeting disclosed to the head of mission? Were you still in the mission when you had that meeting with Rajesh Gupta? Mr Christians: No, I didn’t disclose the meeting. I was still employed at the High Commission. Mr A Figlan (DA): How long have you been working at Home Affairs? Mr Figlan: You are still working for Home Affairs? Mr Christians: Yes, I am. Mr Figlan: You still happy at Home Affairs? Mr Figlan: You happy with your accommodation? Mr Figlan: Can I ask you a personal question? Are you staying with your family, wife and kids? Mr Figlan: What kind of car are you driving? Mr Christians: Currently, I drive an Audi Q3. Mr Figlan: The latest one? Mr Figlan: Are you sure? Mr Figlan: Q3 is a family car? Mr Christians: Yes, it is. Mr Figlan: Where you offered anything by the Guptas? Mr Christians: I was offered to go to a wedding which I didn’t attend. Mr Figlan: Besides the wedding is there anything extra that they offered you? Chairperson: Who paid for the coffee? Mr Christians: I think I did or I left before the bill came. I can’t remember. Mr Figlan: How close are you with Mr Chawla? Mr Christians: We have a friendly relationship, as I indicated. Mr Figlan: Do you discuss your finances with him? Do you discuss your love life with him and other personal things with him? Mr Christians: Not that I recall. Mr Figlan: After you told Mr Chawla about the delays for your deployment to New Delhi. Why did you ask Mr Chawla to call you? What did you expect him to do about it? Mr Christians: As I indicated earlier, prior to that Mr Chawla was calling me to find out when am I going, when am I leaving. The email was sent and my response was I don’t think I am going because there is fight within the Department. Mr Figlan: You didn’t answer the question. Why did you ask him to call you? Mr Christians: I spoke to him. Chairperson: Why was Mr Chawla so desperate for you to go back? Mr Christians: As previously indicated, I got many calls from many people that I know through the years that I met in India. It wasn’t only Mr Chawla that was calling me. Chairperson: We are asking about Mr Chawla here? Mr Christians: I think its best you ask Mr Chawla why he wanted me. Mr Figlan: You told Mr Chawla that your deployment has been delayed and then afterwards you say he must call you? What did you expect from him that you ask him to call you? Is it because you were unemployed and looking for something from him? Mr Christians: I wasn’t unemployed. Chairperson: Thank you very much. We must release you now. You have shed light to the Committee. You could own up on issues the Committee wanted clarity on. You confirmed the relationship between yourself and Mr Chawla - both at work and even outside work. What worries most of us is you shared very confidential information regarding the state with Mr Chawla. We must ask the Minister what action he will take now that you have shared this information of the state. It cannot be that such information can be shared with anyone. We may have to call you again. We will have a discussion with the Speaker about the summons for Mr Chawla. The Chairperson administered the oath and Mr Mkhuseli Apleni, former Director General, took the oath. Chairperson: We know Mr Apleni is no longer working for DHA. At some point the Committee wished him well on his new journey and congratulated him for the wonderful work he had done at Home Affairs. We have invited you now and have received a set of questions the Committee has asked you to respond on. We are inviting you on the basis you were the former Accounting Officer at Home Affairs. The matters before this engagement with yourself are mostly matters that happened when you were the Chief, Director General of DHA. We are aware that we do have the acting Direct General, Mr Mavuso, who was appointed and introduced to the meeting of the Committee. The information that you will share with us no one will use against you neither do we want to fire you from any position. We hope you will be of assistance to this Committee in trying to deal with the naturalisation of the Gupta family and other associates. Did you receive the questions? Did you prepare a document or will you answer them as they come? Mr Apleni: Yes, I will take the questions. Mr Kekana: Given the extent of the public evidence purporting a violation of legal duties by Mr Christians in relation to Mr Chawla and the Guptas, as early as 2011, what disciplinary hearing if any was taken against him? Why were charges not laid in terms of the Prevention and Combating of Corrupt Activities Act? Mr Apleni: I have prepared a file of documents with a lot them I presented in June 2018. After the interview, I will hand the copy of the file to the Chairperson for further reference. Mr Christians in his presentation did indicate that he received a letter from me. I wrote a letter to Mr Christians. The letter reads, ‘Media allegations against yourself as the official of the Department’. He read the letter. Mr Christians responded and refuted all that was alleged in the emails and said there was no reason to institute disciplinary proceedings against him. When I received the letter, I applied the principal that the burden of proof is on the one who is alleging. He disputed everything based on the emails that I do not have but it is on record so that at any point in time if the Department can get something that will help it can go back to his letter. Mr Kekana: Did you investigate the allegations? Mr Apleni: Based on what we had he refuted and the emails which were not even with us. The burden of proof was on us and we don’t have further information based on the allegations. The allegations were from the media about emails and cars. We did not do anything further. Mr Kekana: Were you aware of the purported instruction by Minister Gigaba to bypass the conventional recruitment processes in favour of Mr Christians being appointed at the New Delhi Consulate? Mr Apleni: To respond to the question I must prefix the answer so you understand how government operates. DHA is of national competence and its services can only be rendered by the Department throughout the country and abroad. It is not possible for the Minister, the DG and other levels of management to attend to various responsibilities within the Department personally and continuously. It is essential to establish an appropriate division of responsibilities in order to ensure the functions of the Department are carried out properly and an adequate level of accountability is carried out through the entire Department. To effectively manage the execution of the mandate of the Department certain powers have to be delegated to various business units and individuals with proper authority. In this regard, for instance, managers are appointed in DHA as what we call a responsible manager it is made clear the appointment is intended to allow the manage to act independently within the limits as directed by the delegator subject to compliance with applicable legislation, regulations and departmental policies. This is in line with section 44(1) Public Finance Management Act (PFMA). Chapter 2 of the PFMA outlines the powers of the executive authority to facilitate the approval process in terms of the various Acts, regulations and delegated powers both internal and external. Other delegations are from the Public Service Act. The Department designed a submission template which must be utilised in the entire department for requests for approval. The structure of the template is to ensure that it provides the approval authority or a recommender with critical information to be considered in arriving at a particular decision. The submission evolves as it gets issued. The submission template when I joined in 2010 may not have these elements. The submission must detail the purpose, why you want approval, it must provide the background and discuss the elements of what you want done because the DG is not there on the ground. Someone else must do the submission for the DG to analyse. The policy framework, regulatory, and financial implications must be considered. As well as any gender or risk management implications. The initiator must indicate if it is budgeted for or not if it is not budgeted it will not see the light of day. The budget is allocated in a particular way to the respective manager. You know where we come from we use to sit with an over expenditure over billions of rands but that is no longer the case. The template deals with everything across the department including appointments. Mr Kobese explained whether the Minister bypassed the conventional recruitment processes. Chairperson: You are not going to refer to Mr Kobese. The question is meant for you. Please talk for yourself. Mr Apleni: Thank you for the guidance. The process of filling a position in public service can be filled through an advertisement and without an advertisement it is allowed. In this instance, it is the deployment of people abroad on a temporary basis. You can fill a post without advertisement. Let me go to Annexure 7. Chairperson: Is this from the documents in front of you? Chairperson: The Committee is disadvantaged because we are not able to follow you. How are we going to deal with that? It is unfair that you only prepared for yourself. How soon will we get the file? You are giving us work to have to go back to the annexures. Please try to get to the question itself because you have spent most of the time motivating procedures and legal frameworks. Mr Apleni: I am mentioning the annexures so the Chairperson can write them. I am a person that uses documents as proof so what I say now can be referred to on another day. If I talk from my head, then there will be gaps. The filling of posts in foreign mission is done through open competition in line with DIRCO transfer manual and foreign service dispensation. The submission explains what the issues in paragraph five were. It is recommended that it be managed in accordance to section 14(1) of the Public Service Act which states, “every employee may when public interest so requires be transferred from the post or position occupied by him or her to any other post or position in the same or any other department, irrespective of whether such a post or position is in another division, or is of lower or higher grade, or is within or outside the Republic.” When this was exercised because of the problems highlighted in detail in the submission which were around the capacity in the mission, and the problems between the Ambassador and Mr Steyn, the decision was taken to fill the position. We normally advertise when we do those postings in an interval of four years but if in-between the four years something happens this is what we follow. It was not in the cycle of four years so we did not advertise it and we followed the process I mentioned. The Minister did bypass conventional recruitment but used another method. The Supply Management Act I am talking about says, every tender which is above R500 000 must be advertised but to run the organisation you may deviate. It is in the law but when you deviate you must state the reasons. The Public Service Act allowed for the deviation. Chairperson: You were close to the deployment process of Mr Christians to New Dehli? Mr Apleni: Yes, because there was a submission. Chairperson: What is your view on what Mr Kobese said to HR about bypassing the normal HR processes? We have resolved to verify the information with HR because he does agree he had to raise the concern. Mr Apleni: What Mr Kobese said is that HR asked him where the advertisement is and he said you cannot have an advert when a position is filled in this process. Chairperson: It means that HR does not know of this process? Mr Apleni: That is why he engaged with HR and explained the methods. The law also allowed you to deviate so you cannot come ask for the advert. The route that was followed here was the submission (template) submitted. Chairperson: Were you aware there were problems in that mission about the behaviour of Mr Steyn? Mr Apleni: It is written in the submission and he read that part of the submission. Chairperson: The solution to deal with the problem was to remove Mr Steyn and deploy Mr Christians or did you investigate the problem after it was brought to your attention? Mr Apleni: He read the part of the submission again. “The relationship between the head of the mission and Mr Steyn was strained to a breaking point and was impacting negatively on the service delivery. Intervention to resolve the problems have proven unsuccessful.” This is what is said in the submission. Based on this the recommendation is to deploy Mr Steyn from New Delhi to Munich and to deploy Mr Christians to New Delhi to replace. Chairperson: The accounting officer of the Department is informed about the strenuous relationship and its impact on service delivery and concurred Mr Steyn must be removed and Mr Christians must then be deployed there. Did you as the accounting officer of the Department investigate the problem? If so, do you have a report that shows you have engaged on the matter? At the end of the day the decision was taken by yourself to remove Mr Steyn. Chairperson: Please try to be specific to the questions. I understand your understanding of the Department and I appreciate it. I want to understand what you did you rather than elaborating generally. Did you take an interest to want to know the problem? If so, what action have you taken? Mr Apleni: It was not the DDG only but with the Chief Director of Human Development; they sat and discussed the matter and came up with the decision. I have accepted their recommendation. Chairperson: Did you want to know what the problems were further than the submission that the relationship was strained? Mr Apleni: No. What I know is there is a problem and the people who are delegated considered it and made recommendations to me. As a Department when they are problems like this there are competent people who have the skills to deal with it. DDG: Immigration Services did not sit alone he went and approached the Chief of Human Development. Chairperson: Parliament does not want to hear the relationship was strained we want to know exactly what the problem was to understand why Mr Steyn was not performing. What did you do as the accounting officer? Did you only concur with that information without wanting to know what the problem is? Chairperson: I am not going to agree with this exercise because you have your own file there. We are dealing specifically with this matter. Please don’t go scattered I want you to go straight to the point we are dealing with so that we able to park it and move to the next point. Let us deal with this matter and dispose of it. Mr Apleni: Based on the recommendations of DDG HR and Chief Peoples Management I accepted what they said because of their technical advice. Chairperson: It means that even for the matter we are going to be dealing with later of naturalisation you are then saying based on what they said I concurred and signed? We will come to that point. You have laid down how you operate business. They come to you and you concur because they are professional. You are the accounting officer at the end of the day. Parliament asks you now, what did you do? You say you concurred. We don’t have the report of what was the problem at the mission. There was no report that said these are the problems that Mr Steyn was causing at the mission and we tried to address it. You don’t even know because it was done by competent people and they have not given you a full report of what they investigated. You concurred with the recommendation based on a strained relationship? Mr Apleni: Yes, that is what I am saying I considered the discussion of the document and the recommendations. Mr Kekana: The leaked Gupta emails suggest that visas were expedited for the Guptas. Were you at any stage aware of the facilitation role that Mr Christian played in expediting visas for the Gupta family? Do you believe that such facilitation of the visas was wrong? If so, please explain? Mr Apleni: I was not aware as you know I dealt with the matter when the emails were leaked by inquiring. There was nothing of this sort that ever came to my desk. Chairperson: What was your engagement with Mr Christians earlier that led for him to come and account on the matters that had been in the public domain? Mr Apleni: Mr Christians said he had never met me. Yes, he met me for the first time at this meeting. The only thing Mr Christians said is that he did receive a letter and even called it an audi alteram partem letter from the DG. As he said, I have never met Mr Christians. Mr Kekana: Although you signed and dated the submission to the Minister for early naturalisation of Ajay Gupta’s family you did not make an indication whether you approved or not, why? Mr Apleni: I am on record that I recommended the document. If I had a problem I would not have signed that is how we operate. Chairperson: Then what is the purpose of having approved or not approved? If you look at the submission each of the responsible people signed and said approved. You are the only one who signed and did not expressly approve. Mr Apleni: I did not tick next to approved but in the meeting of 22 June 2018 I am on record that I approved the recommendations. It was an oversight not to tick approved. Sometimes you forget to tick next to approved but you do sign the document. Chairperson: It creates confusion. The meeting of 22 June 2018 did not happen under oath; here you are under oath and need to confirm. Mr Apleni: I have looked at the document and I am on record that I recommended the document. If I had a problem I would have written and said I don’t support and provided the reasons. What I did not do was to tick. I can even do an affidavit that I recommended. Ms Dambuza: You signed and approved a recommendation for naturalisation of three family members: two sons and their grandmother. Family members may apply individually. In this instance, the Gupta family applied individually originally then the officials of the Department decided on their own to make a family application. The request to the Minister to consider exceptional circumstances was applied for by somebody else, Mr Chawla, and claimed ‘as family members’. We don’t know whether Mr Chawla is a member of the Gupta family and we have not been told by the officials what is the relationship. What we know is that they are in business. Ajay Gupta and his wife’s names do not appear on the application. Mr Chawla only applied for three people. Did you see the names of Ajay Gupta and his wife on the application that requested exceptional circumstances? You then recommended on what Mr Chawla represented. When you write to the Minister you write, ‘as a family’. The Minister responded to Mr Ajay Gupta and the family because you approved the recommendations by the officials that Mr Ajay Gupta was part of the application for consideration of exceptional circumstances yet he wasn’t. Mr Apleni: Annexure JJ. If you look at the heading and subject of the document it says, ‘Application for early naturalisation for Mr Gupta and family.’ It goes to submit to the Minister consideration of the representation received from Mr Gupta and family with regards to granting them early naturalisation in terms of section 5(9)(a). He read 2.1 of the document. Ms Dambuza: This information was brought before and rejected by the adjudication committee. When you motivate to the Minister you included this information which is correct because you had to make sure that the Minister understands the situation. The letter from Mr Chawla what does it say in terms of the request for exceptional circumstances? Mr Apleni: As I have indicated, this submission is what the Minister approved for early naturalisation it is not the one where people were rejected. Chairperson: Is the application informed by the request for exceptional circumstances? Chairperson: It is done by Mr Chawla and not Mr Ajay Gupta? Chairperson: He is writing to the Minister? Chairperson: In the letter, he talks as a family. He puts himself as a member of the family but in the letter, he identified three people, the two sons and their grandmother. 4. Ms Angoori Gupta applied 3 June 2013 for naturalisation. 8. Thereafter Mr Ajay Gupta applied for naturalisation on 3 June 2013. 13. Thereafter Ms Shivani Gupta applied for naturalisation on 3 June 2013. Essentially, your report, DG, that you submitted on 22 June 2018 said they all applied on 3 June 2013 as a family. 2.1. On 3 June 2013 Mrs Gupta and on 17 July 2014 Mr Gupta, and not 3 June like the report is saying and it goes on. Ajay Gupta applied on 3 June, Shivani Gupta and K.K. Singhala applied on 17 July. All of them applied on different dates which is why when Mr Mkhize was here he dropped the bombshell last night that they applied individually. We realised where the mistake had been made because for more than a year and a half you and the Minister and everyone involved have been saying they applied as a family. We had to consider them as family. I will show you further where else you went wrong because you considered them as a family. You declined their application which was right and up to that point everything seemed fine. The problems come when Mr Chawla submits the appeal or application for exceptional circumstances. This is where the Chairperson was getting frustrated because there was trust but no verification. Annexure I, the letter from Oakbay addressed to the Minister for early naturalisation, the request refers to three names; Angoori Gupta, Kamal Kant Singhala, and Surya Kant Singhala. Nowhere in the document is Mr Chawla applying for exceptional circumstances for Mr Ajay Gupta. He only raises those three people. Then the Department compiled a request for exceptional circumstances and included Mr Ajay Gupta when he never applied and the Minister and you approved it. 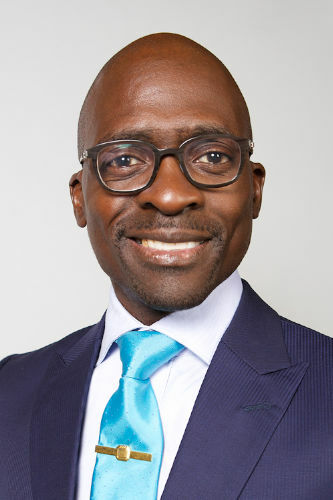 This is the reason the Chairperson is asking if you verified because even on the application for exceptional circumstances the three reasons Minister Gigaba told me why he approved it was; (a) investment (b) job creation and (c) social responsibility. We established yesterday the social responsibility reason falls flat. They claimed they had feeding schemes and distributed shoes, it never happened. The MEC was here and said a number of the schools did not get anything. There was no verification. Mr Mkhize agreed they did not verify the investment. He only verified whether they had permanent residence and police clearance. They took the information on face value. When we started asking questions as the Portfolio Committee then DHA went back and only after that evidence started appearing and you started asking for more information. Then the truth started coming out that they lied to the Department. They hacked the system and misled every official. They misled you and all along the value chain everyone trusted them. You and the Minister trusted them when none of them should have qualified for naturalisation because the law says you have six months to prove you have renounced citizenship. We have raised this with you and you said you would come back in 2017 and you still have not come back to us. If you can produce it, I will accept it. If you can show us a letter from the Indian government that says these four people renounced their citizenship before 30 October within the six months then I will accept that I was wrong and you were right. We have been asking for this for years. The Department produced a document two years later from the Indian High Commissioner. When you were here in June, your Department had already written to the Indian High Commission asking for verification which was already a year later. They have not qualified to provide you in terms of the law with the renunciation of their citizenship within six months. You made the error, your department made the error, and the Minister made the error and that is my submission unless you can prove me wrong. Mr Apleni: There was a question asked how many applications. On Annexure E, it provides on 3 June Mr Gupta and on 17 June. This document was prepared by the team and has no visibility to come to us because it is at that level. 2.7. On regulation requires applicants to apply as a family if one of the family member does not qualify it affects the rest of the family. Mr Hoosen: I am sorry to interrupt you but before I lose the point if that is true and Mr Gupta did not qualify why then did you grant the citizenship for the rest of the family? 4.1 In view of the fact …. Mr Dambuza: Sorry to interrupt, I want to make a follow up. I don’t think in my view there is a dispute about the regulations. If the regulations say so, then why are you not advising them because they did not apply as family? You decided, on your own, to include them instead of advising them to apply as a family they applied individually and the officials decided to club them as a family. This stage has passed now we are at the stage of considering exceptional circumstances. Even then an outsider, Mr Chawla, applied for three people. Why did your officials not advise them to do things correctly? Mr Apleni: The letter is from the Indian Embassy. When dealing with foreign relations DHA could not directly contact the Indian government it had to approach DIRCO. This first attachment is from DIRCO to the High Commissioner of India. He read the letter. Mr Hoosen: I am referring to the document that confirms the date on which they renounced and that document must come within six months of 30 May. This one is two years later and not a renunciation of citizenship in terms of the regulation. 2. We have no objection to her applying for South African citizenship subject to condition that she renounces it by surrendering her Indian passport immediately after acquiring South African citizenship. This is what we received as the Department within the six month period. We then wrote to the Indian High Commission to find out if they had renounced and responded that these people are no long citizens of India based on the letter which is within the six month period. Mr Hoosen: Are you satisfied this meets the requirements of the Citizenship Act Regulations? Mr Apleni: The Citizenship Act Regulations say within six months and they went and applied for the renunciation. When I read what, they brought back to me within the six months, on the fourth month, I read the letter but the Indian government operates differently. Other countries do not even have a population register. After getting the confirmation from Indian government that they had renounced Indian citizenship I accepted that they had renounced. Chairperson: We are now aware you have written to the Indian High Commissioner. Mr Apleni: There is a difference when countries are dealing with individuals and one country to another country. This is a letter from Indian government to South African government. I was with foreign affairs for many years they do not sign there is only the logo and at the bottom of the letter it says compliments and the country. This is how agreements are done between country to country. The information was not requested by Home Affairs I went through DIRCO. Chairperson: I want us to address the application for exceptional circumstances. You at the end of the day approved and signed for it and gave it to the Minister saying you have done all the necessary due diligence and are happy because of the letter written by Mr Chawla. Who is Mr Chawla? Have you ever met Mr Chawla? Mr Apleni: I have never met Mr Chawla until the Committee wanted information from us it is then that I wrote a letter. In the meeting of June, we are on record saying, and not only Mr Mkhize, we never verified the information. Chairperson: Are you concurring that the information was not verified? Chairperson: No, just be specific to us we don’t have time. What did you do on this matter? Chairperson: I want you to be specific on this case. Chairperson: No, you are not going to do this in this hearing. As we engage you then you engage us back, it is not going to happen Mr Apleni. You need to be calm and I know you don’t have much time. You need to be specific about the naturalisation of the Gupta family which the exceptional circumstances were applied for by Mr Chawla. Don’t throw your hands at me don’t do that. Mr Apleni: I am not, I am correcting my file. Chairperson: Please respect me. I know you have dealt with Parliament before and you understand us which is why you can even come with your own information and bombard us. I will adjourn this meeting for you and allow you to leave and come back. There is no other way. I am telling you today it is not going to happen. We are going to adjourn you and you will prepare the file properly and when you come back we will engage you. This is how we will leave it. Mr Apleni: Sorry, I was just correcting the file. Chairperson: I want us to agree we are not going to proceed with you. We are going to cancel this engagement. Mr Apleni: No, why do you cancel? Chairperson: I am still speaking and you interrupting me. You don’t do that in this Parliament. Chairperson: You are going to allow us to probe you because at the end of the day it is your signature on the document. It is you that has given the citizenship to the Gupta family. It is you and no one else by signing that document. We must probe you and satisfy ourselves. No one else is going to do it expect this Committee. Your flight is at 20:00 and you are left with five minutes here with us, what do we do? Ms Mkhaliphi: We are not going to do justice because there is a lot of information we need to get from Mr Apleni and five minutes is not going to assist. I agree with your proposal let us adjourn and reschedule for him to come back unless he is prepared to sleep over and leave in the morning. Mr Kekana: I agree with the proposal because there are serious matters he needs to clarify. Let us have a day for him on this matter. He will tell us on which date. Mr Apleni: Maybe we can finish in 30 minutes. Chairperson: Why don’t you agree in good faith to reschedule? Even if we hold it over a weekend I wouldn’t have a problem. It is very important session that we must have with you. Mr Apleni: I am fine even if it is on a Saturday. Chairperson: We will try not to be hard on you but you understand as the former accounting officer you take responsibility for the matters. On that note we release you to go and travel safely. We will set up a day when you are also available. In the meantime, please prepare the file for us. The Committee paused for a break. The Chairperson stated that the process of engaging the former Director General was to help the Committee understand the process which was followed in the naturalisation of the Gupta family. The Committee had tried to go as far back as 1994 and to look at each of the family members from the start. When the Guptas entered the country, what documents the Guptas possessed, the resident permits, the work permits to a point where the Committee is now dealing with the issues of citizenship. On the previous day, when engaging with Civic Services, it became clear that there were more contradictions on the information that the Committee had received, especially around the issue of whether the Guptas made the application as a family or individually. The Committee invited the former DG as a witness to help the Committee understand the process and the due diligence that was followed. It is only at that level that the Committee will be able to understand whether all the processes were above board. The process could not continue because of time constraints as the former DG had to catch a plane. The other constraint was also the manner in which Mr Apleni was engaging with the Committee when it came to the issue of documentation and the responses. Mr Apleni organised that information for himself; the documents he was relying on was not availed to Members, he was the only one who had those documents, disadvantaging members of the Committee who could not follow. The Committee had made it very clear that when it sends an invite, the documents need to be availed to Members earlier. He noted that the Committee had not managed to make a breakthrough on administration. Mr Hoosen thanked the Minister for being present. He noted that the Committee started the process a year ago but a year down the line, there are more questions than answers. Members do not know about the extent of role played by Mr Chawla. In his view the Gupta family managed to hack the DHA system and the family acquired early naturalisation irregularly. The regulations were not followed and he hoped the Minister will take the matter very seriously as the DHA needs a serious shake up. Mr Gumede requested that there should be no interruption of witnesses mid sentence. He advised Members to ask for a point of order when opposing arguments as the interruption interrupts listening patterns of other people. He added that the issue of emails is a recent issue which has assisted and given the Committee a bigger picture. He asked that there be clarity among members as to the levels of authority and delegations, who does what and at what level the Minister comes in. Questions on operational implementation should not be directed to the Minister. Ms Shabalala stated that it was unfortunate that the Committee did not get to listen to what the former DG was going to say. She was concerned that it will be impossible to conclude without information from the accounting officer. She suggested that the Committee sets aside a day and listens to both the former DG and the Minister. 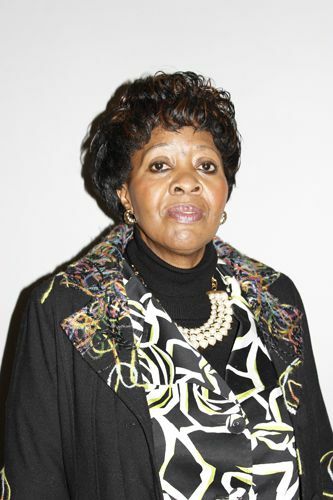 Ms Mkhaliphi advised that Members should plan better as a Committee. When the former DG came with documents not supplied to the Committee, Members were prepared to engage him because they understand the areas of focus. She noted that the following day’s meeting will not sit as earlier planned since Members will not be able to sit and write the report. She advised that the Committee still has to call other witnesses and that Members can meet and plan for another date. Ms Kenye added that the Committee should be flexible with the agenda going forward and should change when necessary and if possible swap witnesses. Ms Raphuti thanked the Minister for honoring the meeting. She agreed to the rescheduling and requested that the witnesses be summoned on time. Mr Kekana supported the move and advised that Members remain behind and discuss other issues. The Chairperson noted that Members were in agreement that the meeting be rescheduled. He asked the Minister if he will have a problem if the Committee is to reschedule the meeting to enable the Committee deal with the core issues first. The Minister responded that he is eager to assist the Committee in its work and is ready to engage with Members on that day or on any other date. The Chairperson stated that the Committee will rework its programme, consult the Speaker of the National Assembly, consider the availability of Members and then look at the appropriate day and prepare summons to have Mr Chawla appear before the Committee. He stated that because of separation of powers with the executive, during the engagement with Christians, the Committee will have to request that certain action be taken. He agreed with members that the meeting be adjourned. Mr Hoosen said he was satisfied with the proposal. In order to avoid a situation where the Committee convenes and does not get the appropriate response, he requested the Chairperson to circulate the list of outstanding information prior to communicating with the DG. He asked if any feedback has been received from immigration [on the whereabouts of Mr Chawla]. The Chairperson responded that what is known is that he is in India. He confirmed that the Committee has listed all the information that the Department must provide and that the former Director-General will engage on all the outstanding matters. He urged Members to continue engaging with the documents in the file provided and confirmed that the meeting slated for the following day will not take place.